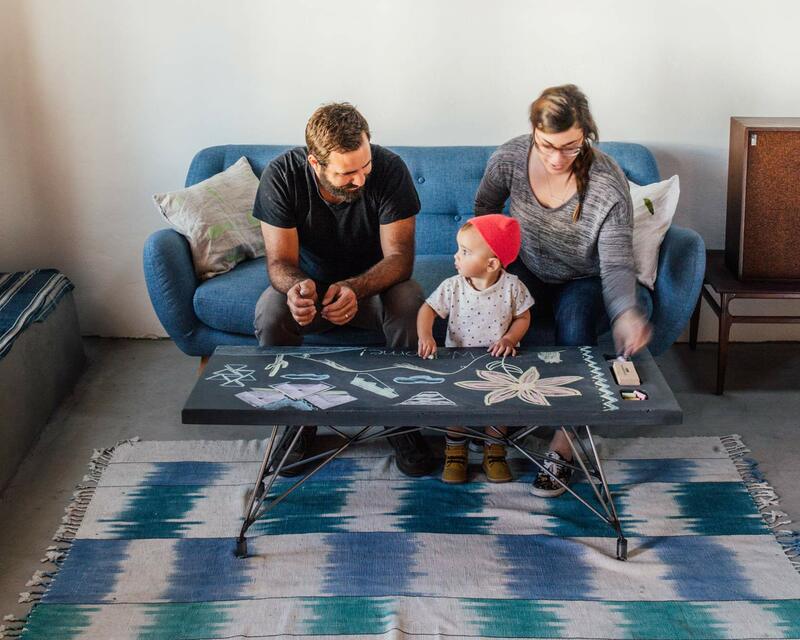 In today's world of planned obsolescence, the people of Hard Goods plan for permanence. 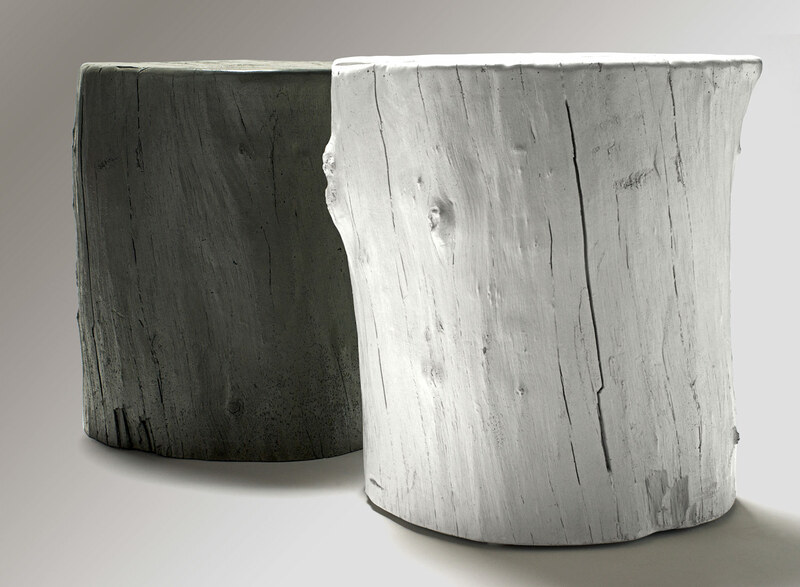 As a group of artisans crafting with concrete, wood and steel, we create pieces to last millennia. 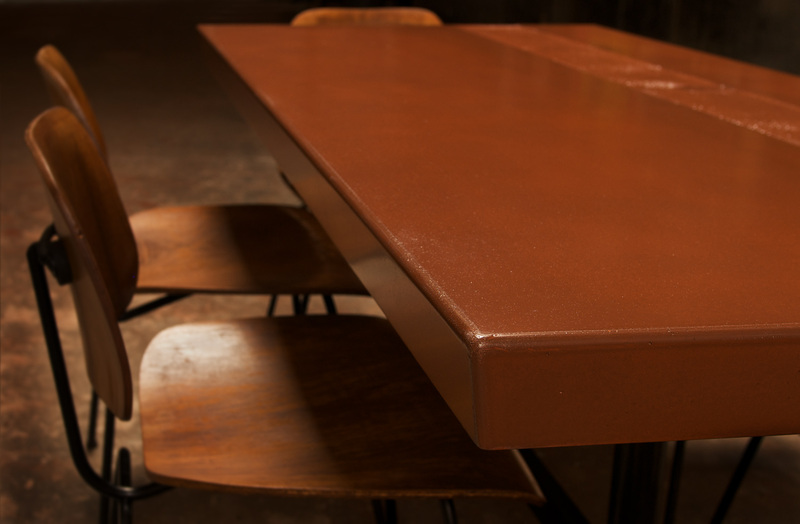 By honoring the honesty of these materials, we are able to stay true to their nature – considering their personality of color, imperfections, unique structural abilities and aesthetic resonance. 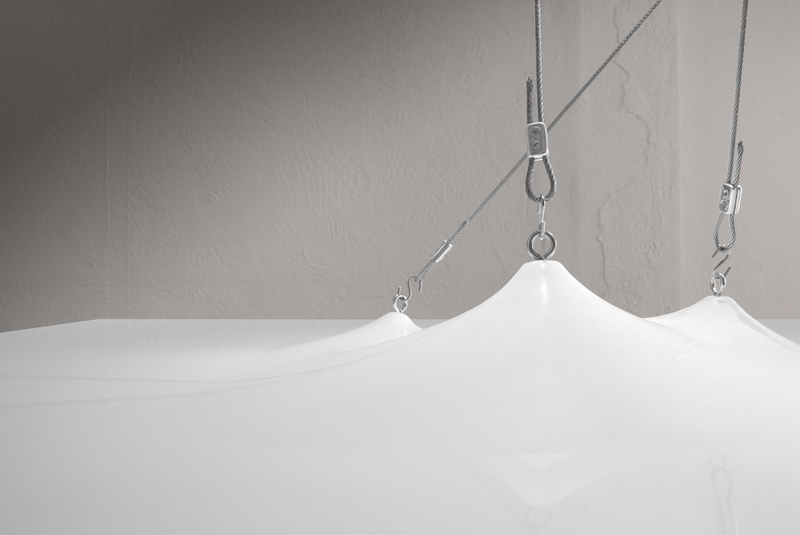 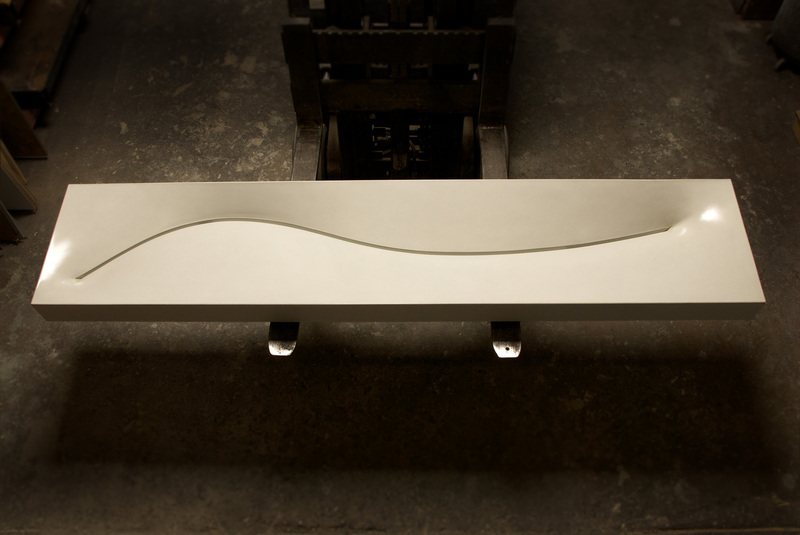 Our restrained design process maximizes the full potential of these timeless substances. 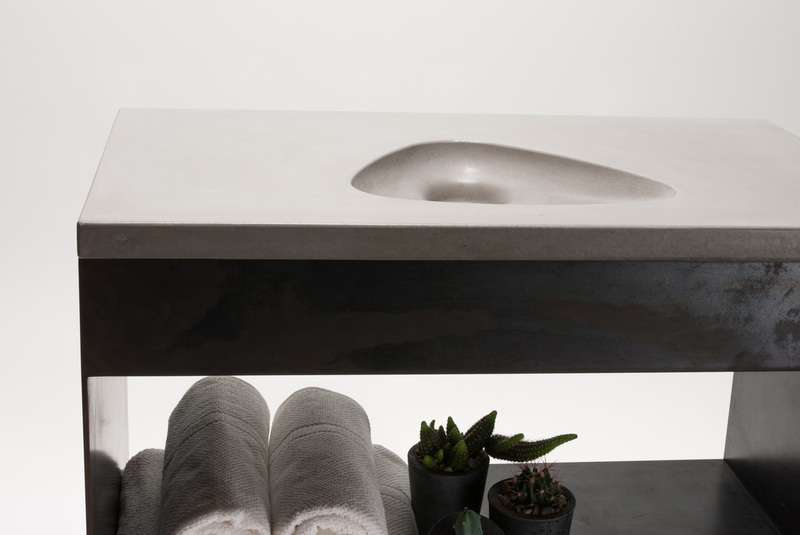 Through method and vision, we combine natural elements in a correct and human proportion, allowing each crafted object to live fully in the present, acknowledge the past and begin to reveal the future. 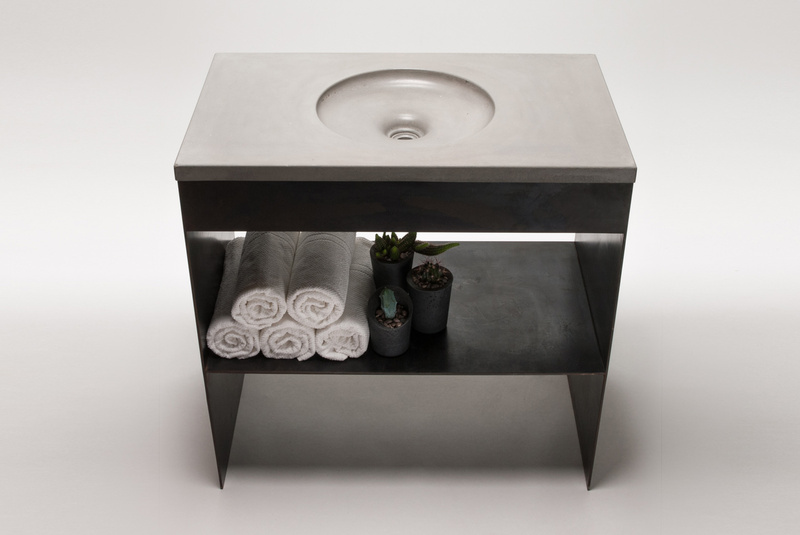 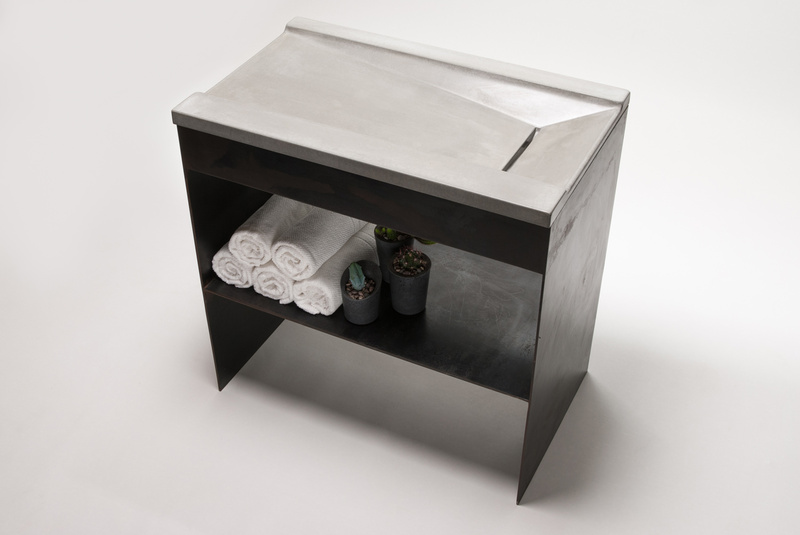 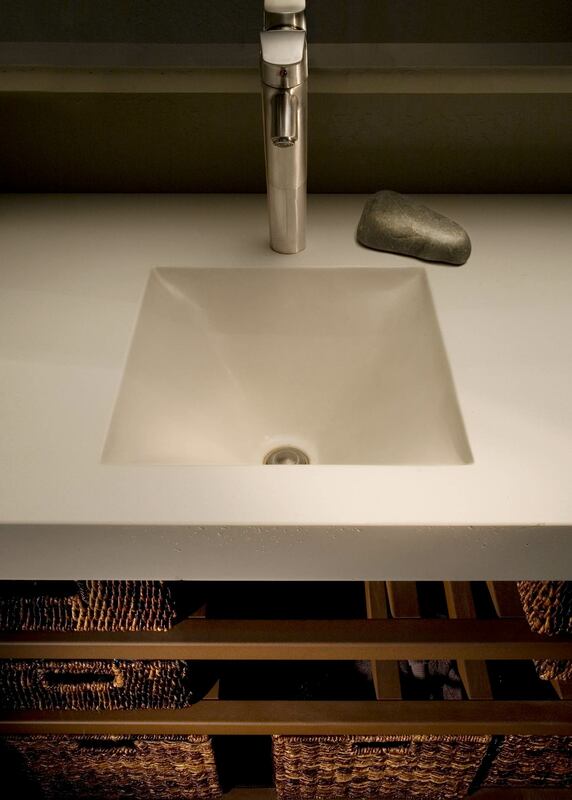 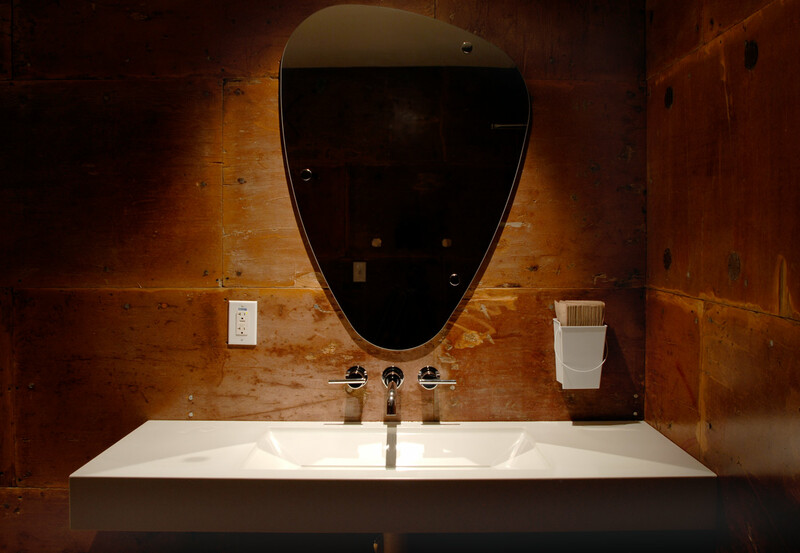 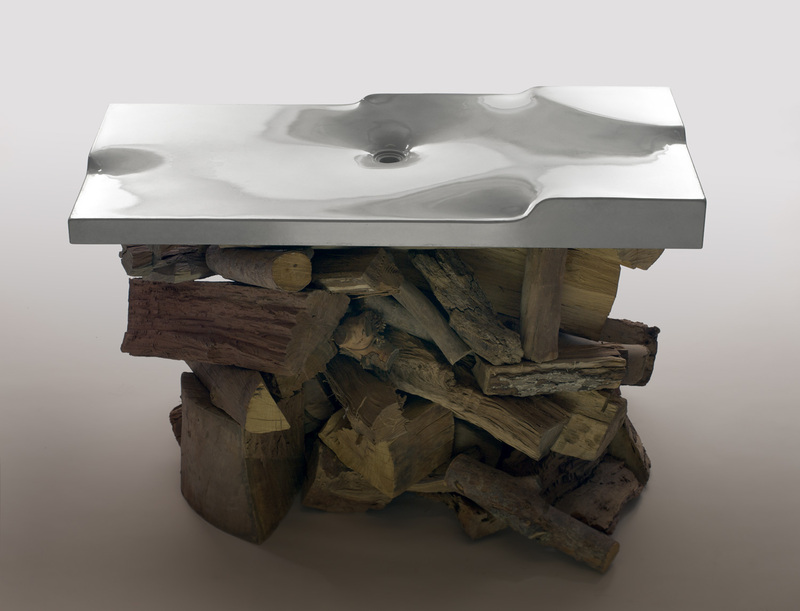 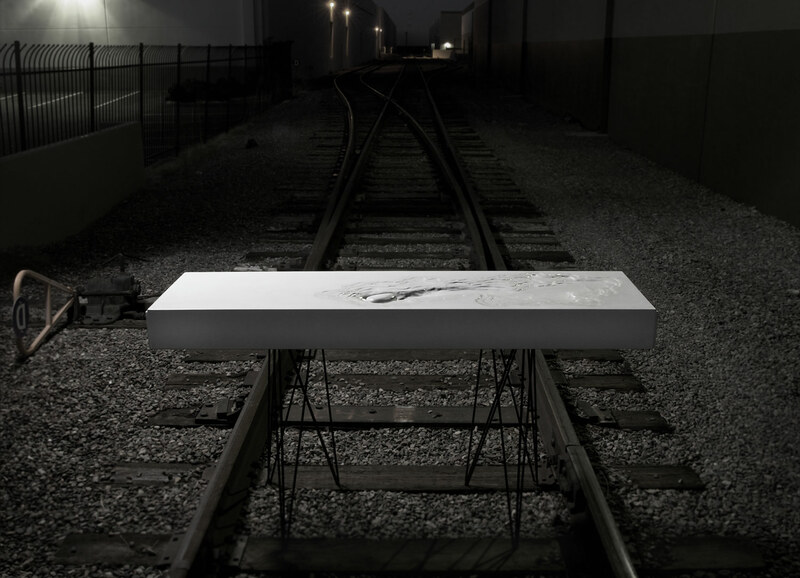 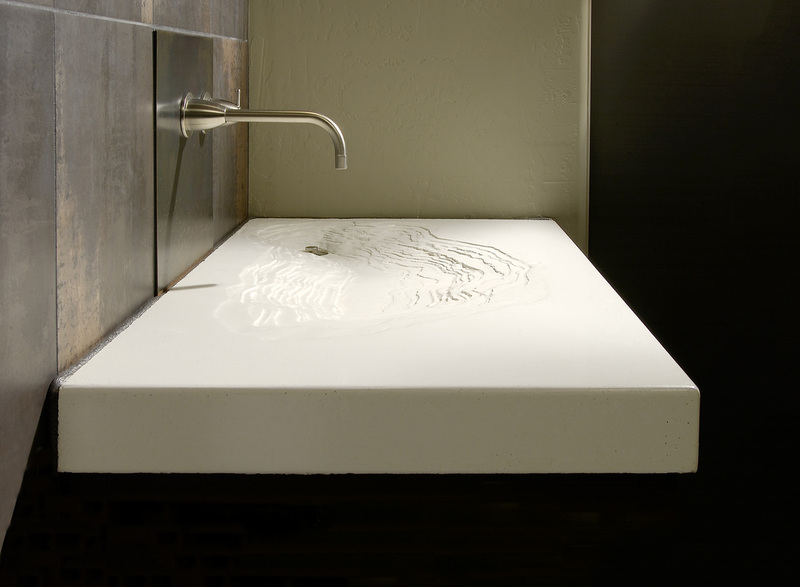 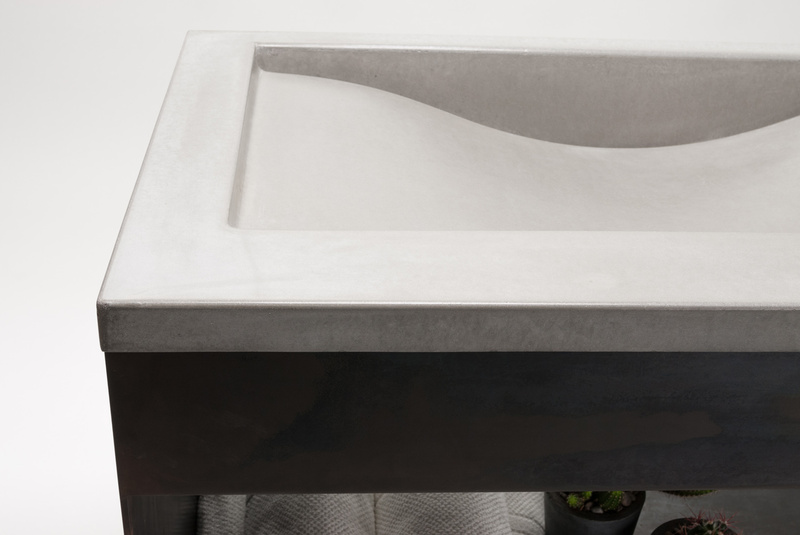 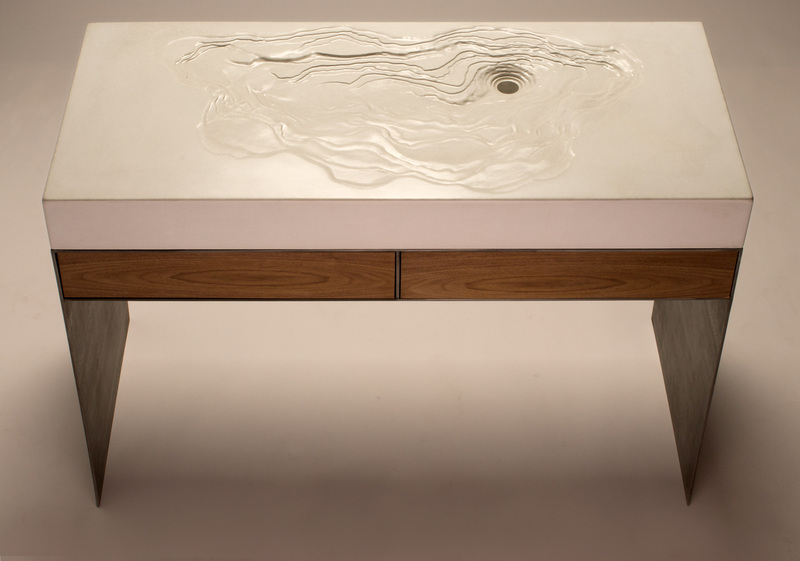 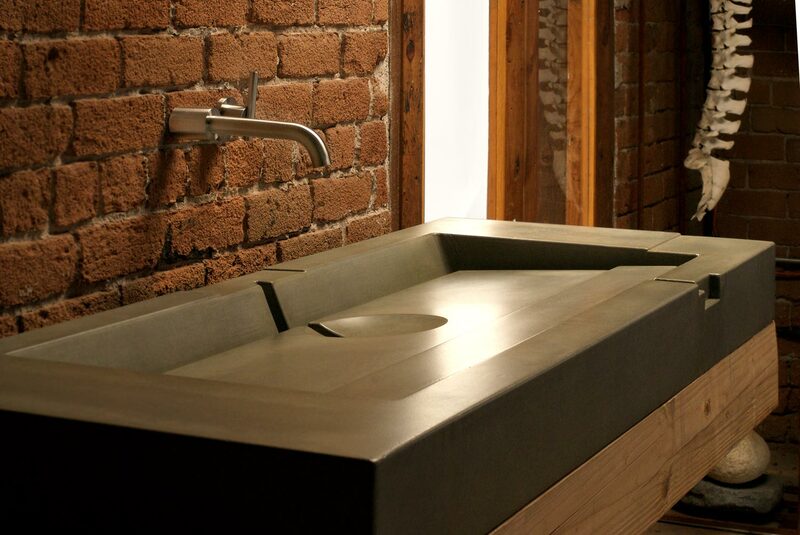 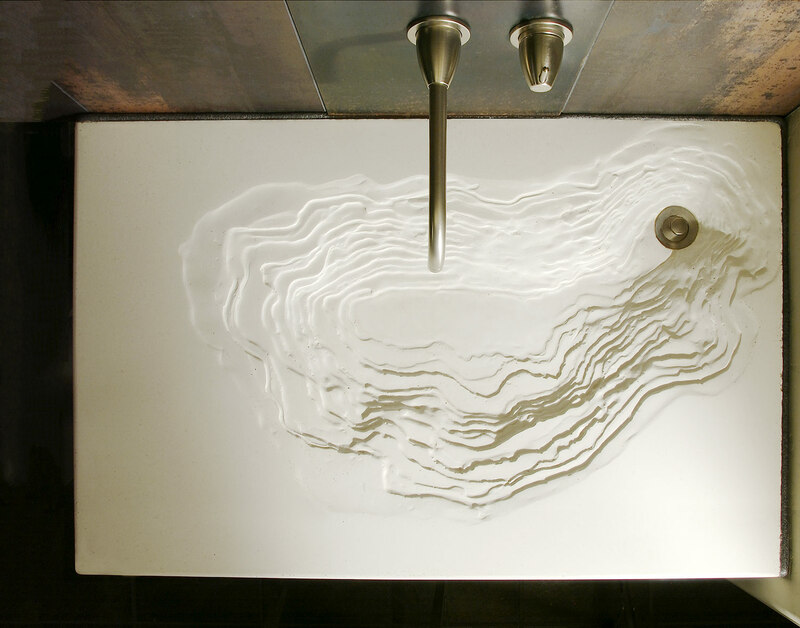 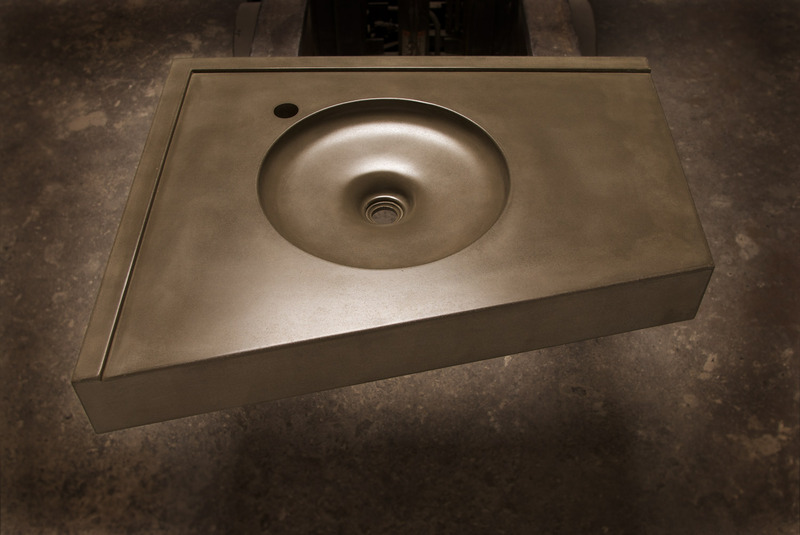 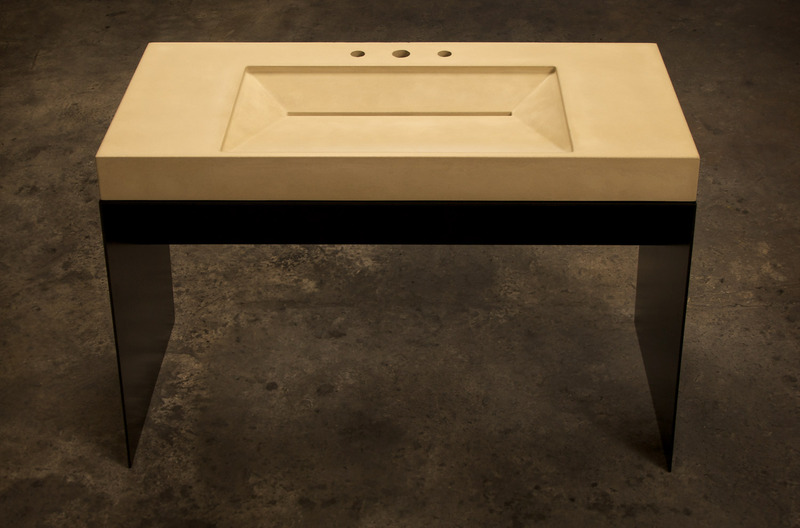 Hard Goods started as Gore Design Co. in 2004 and has been advancing the art of concrete sinks and vanities ever since. 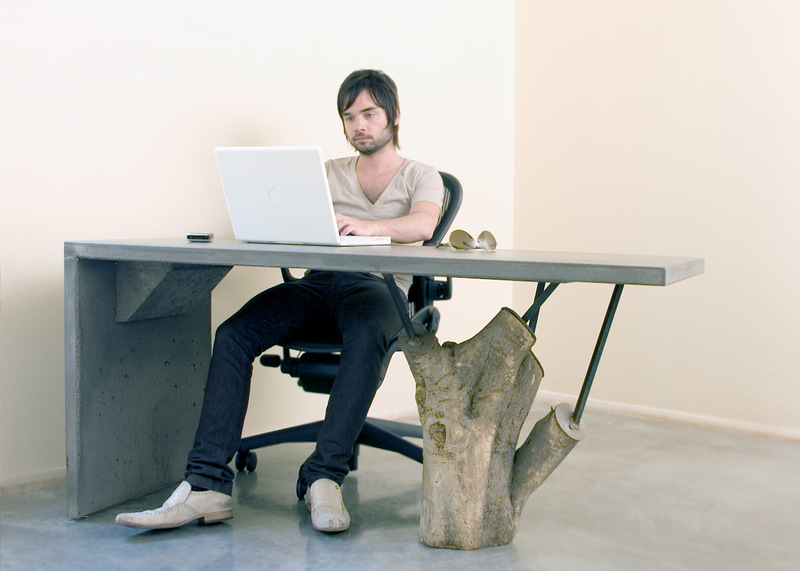 Every piece is a made-to-order original design handcrafted in the United States. 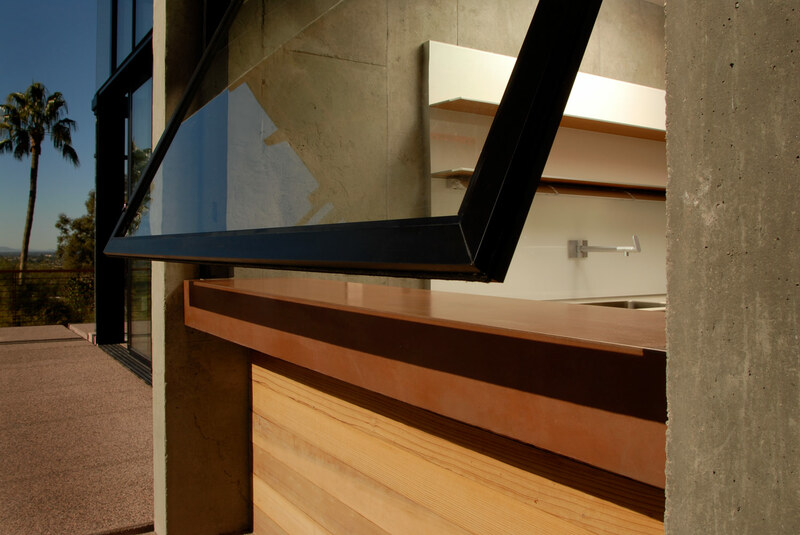 Architects, designers and homeowners depend on us to deliver the highest quality custom products on time and to exact specifications. 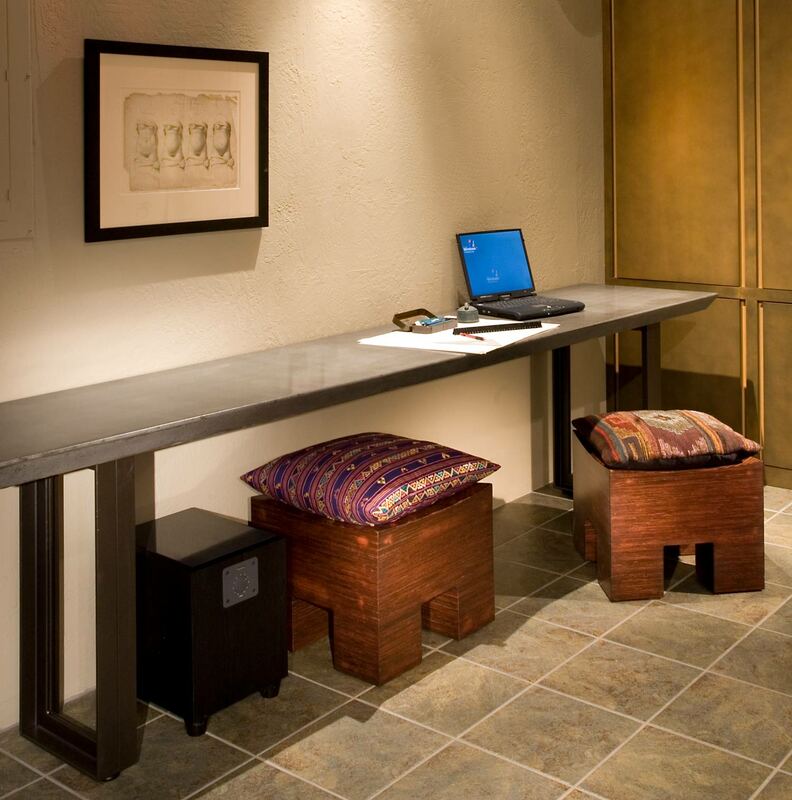 We invite you to experience our customer service and craftsmanship firsthand on your next project. 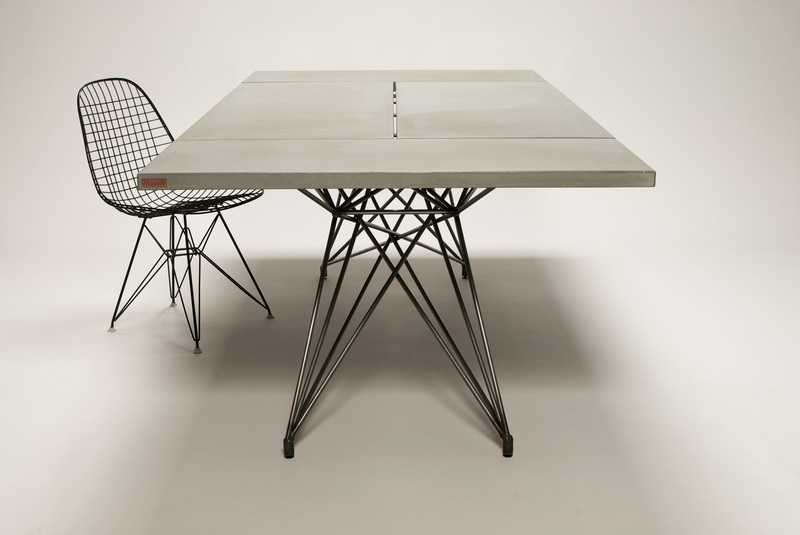 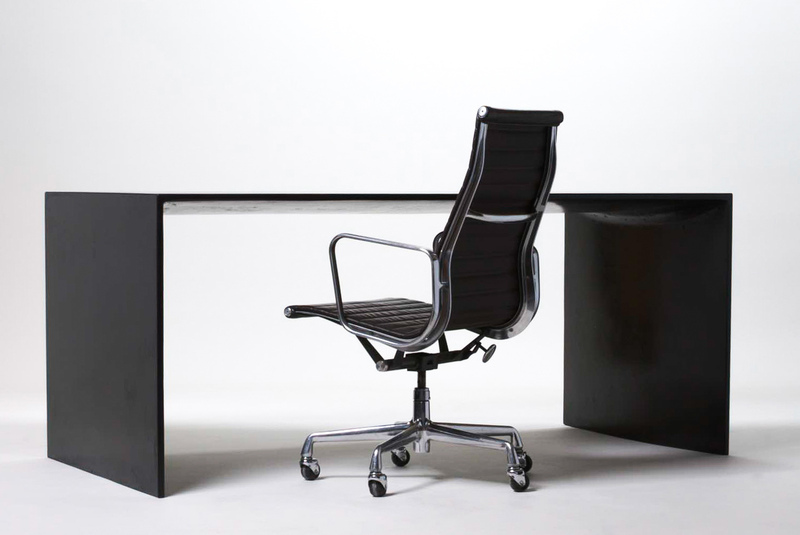 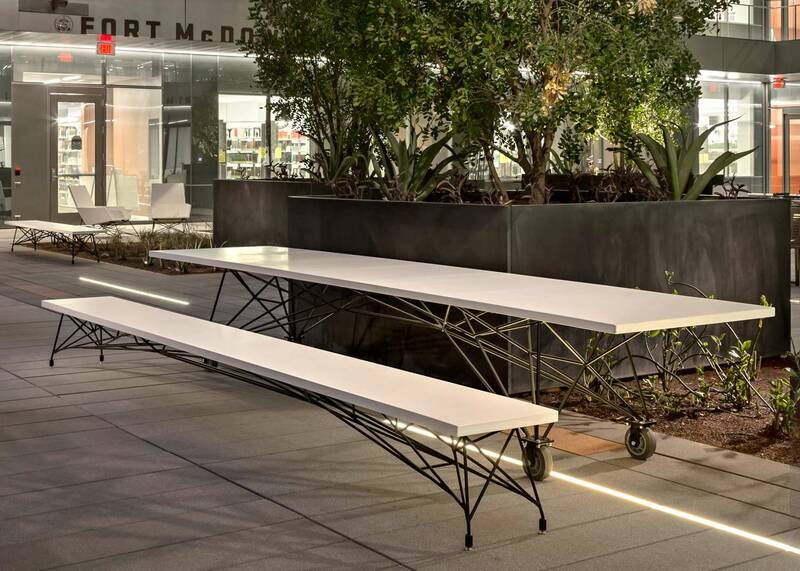 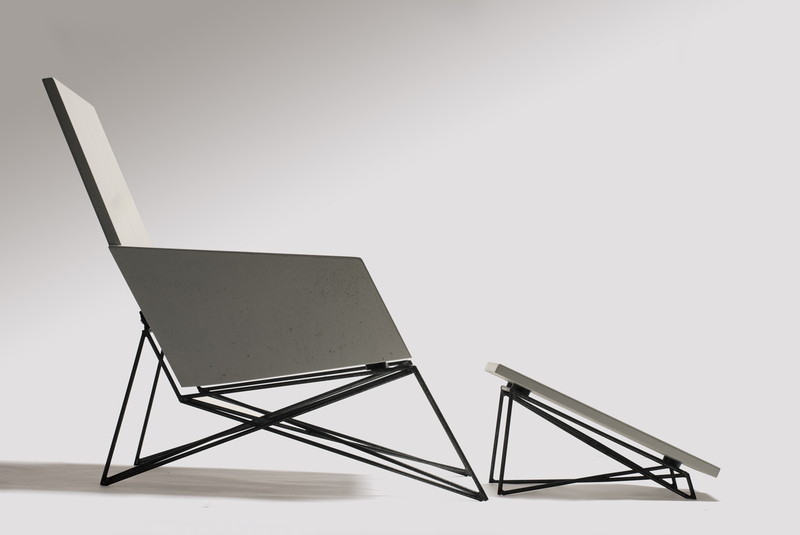 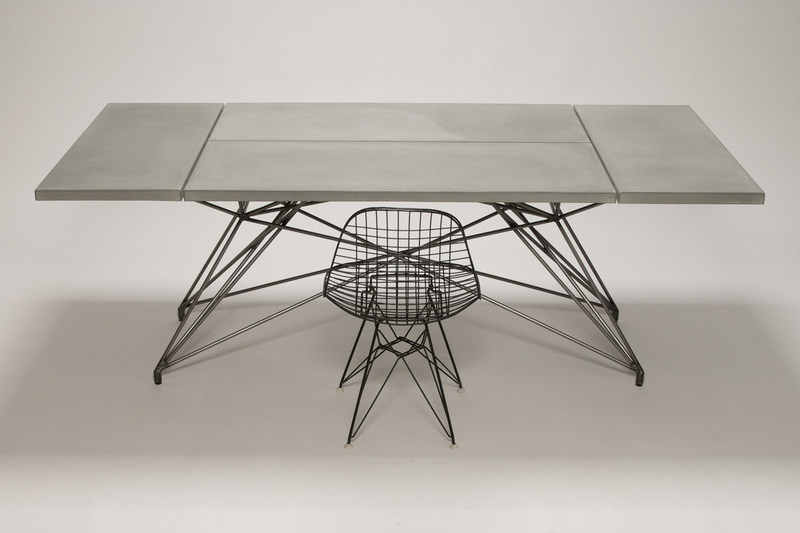 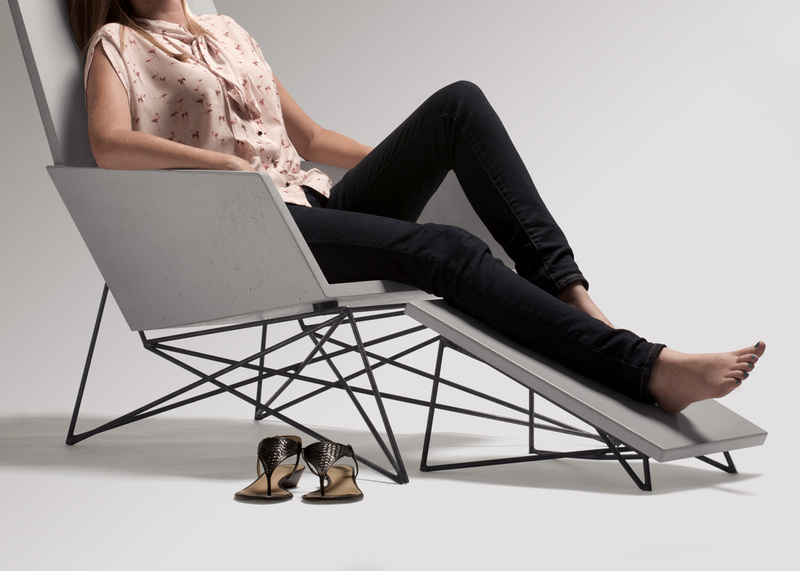 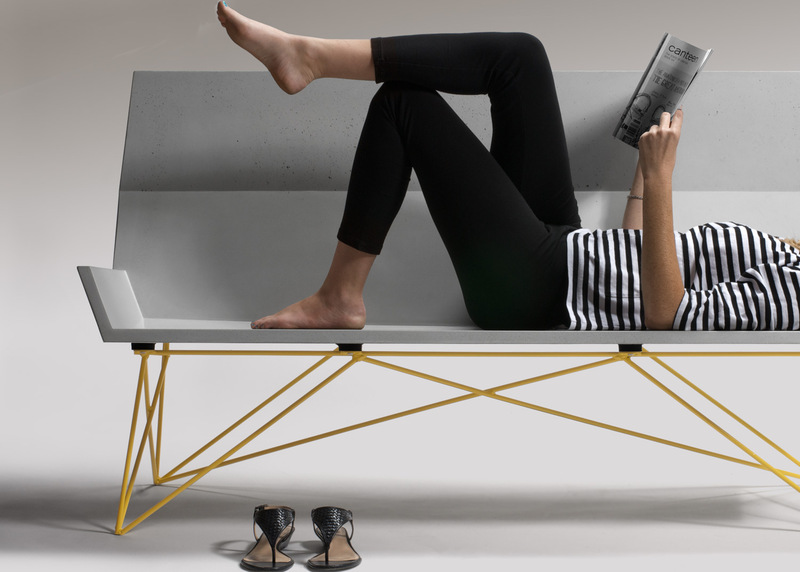 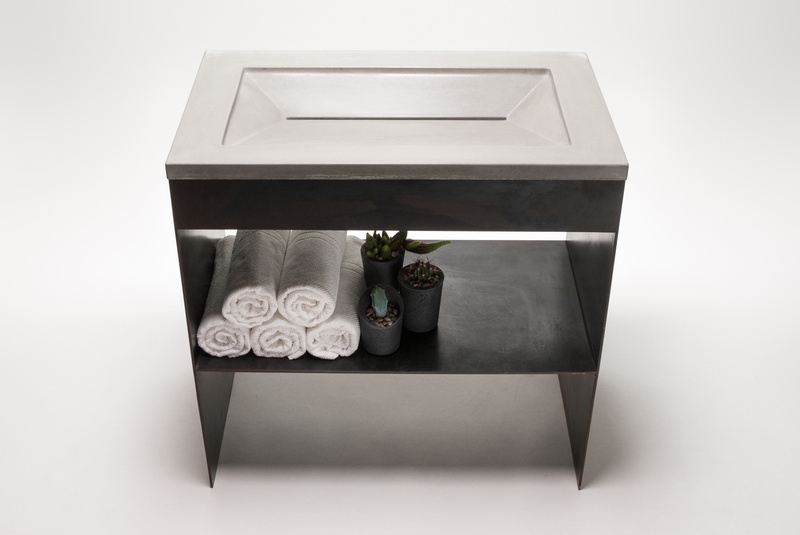 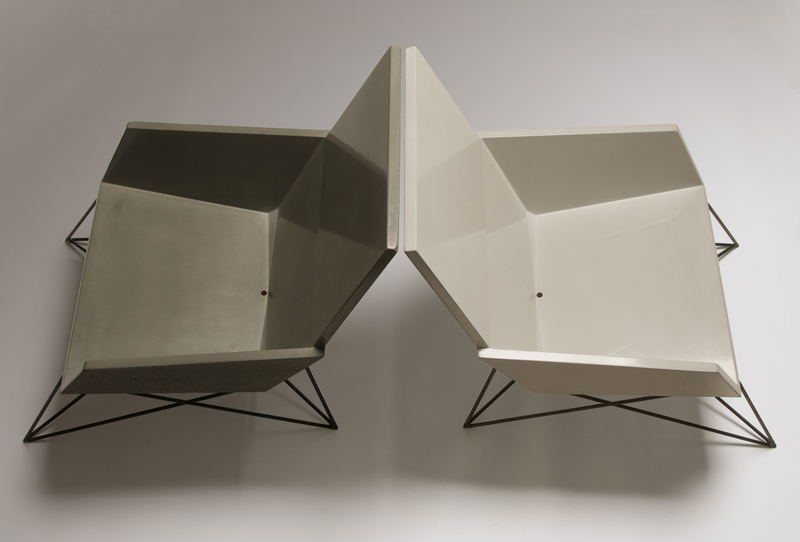 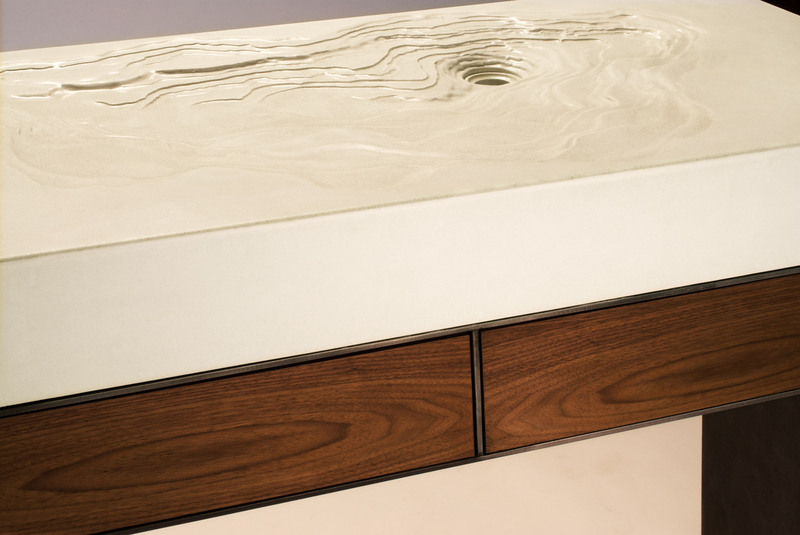 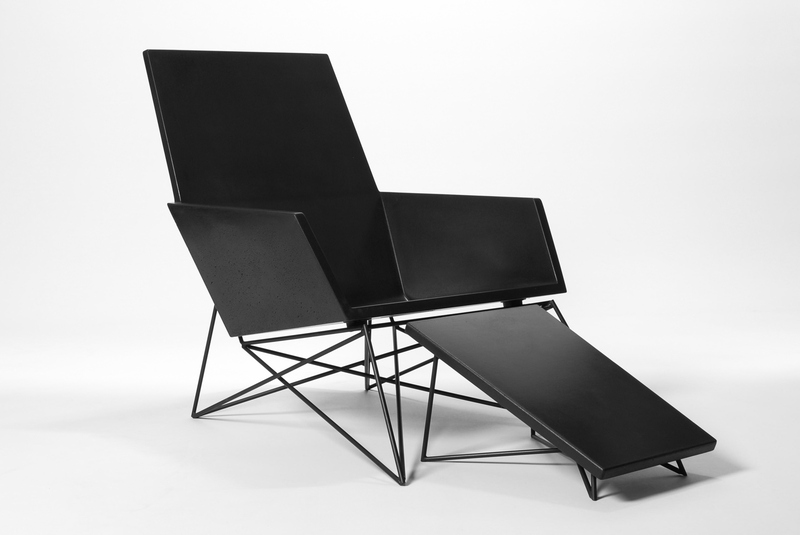 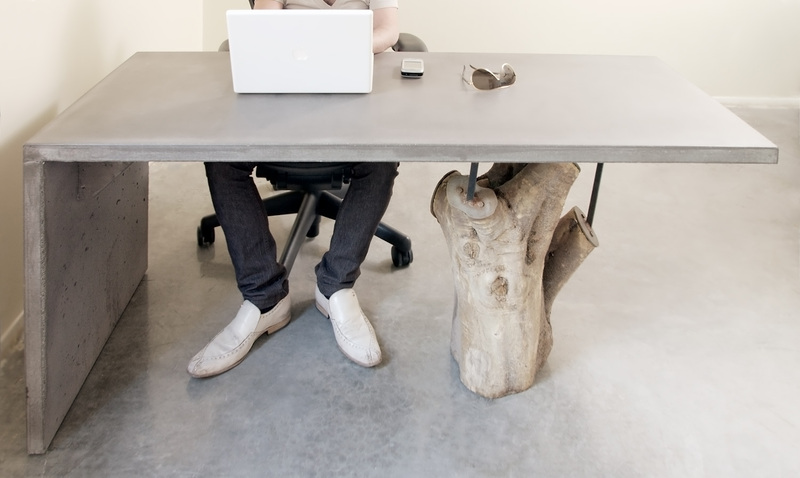 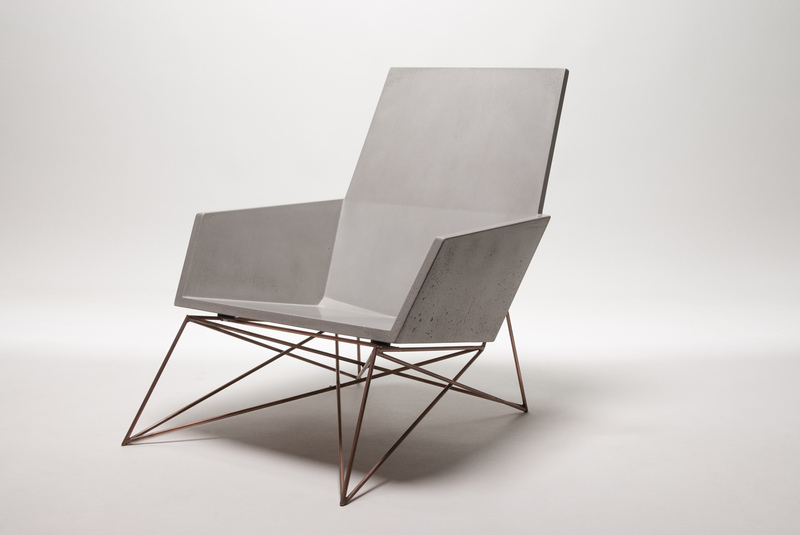 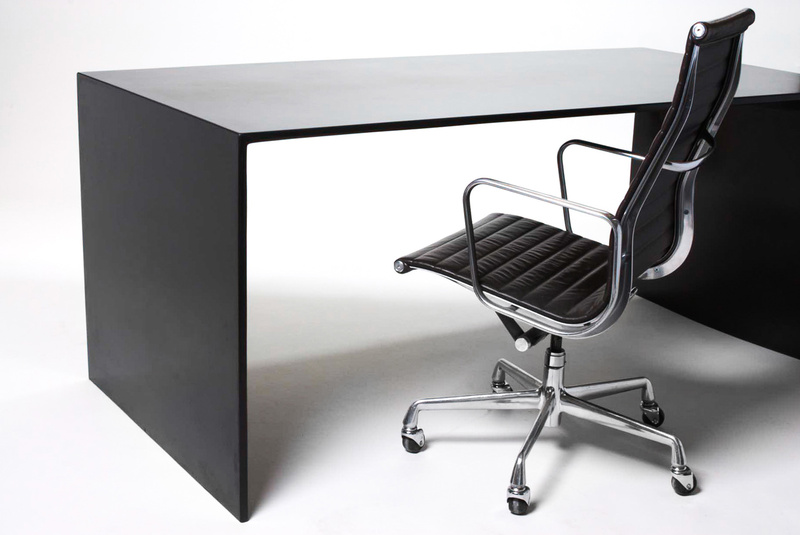 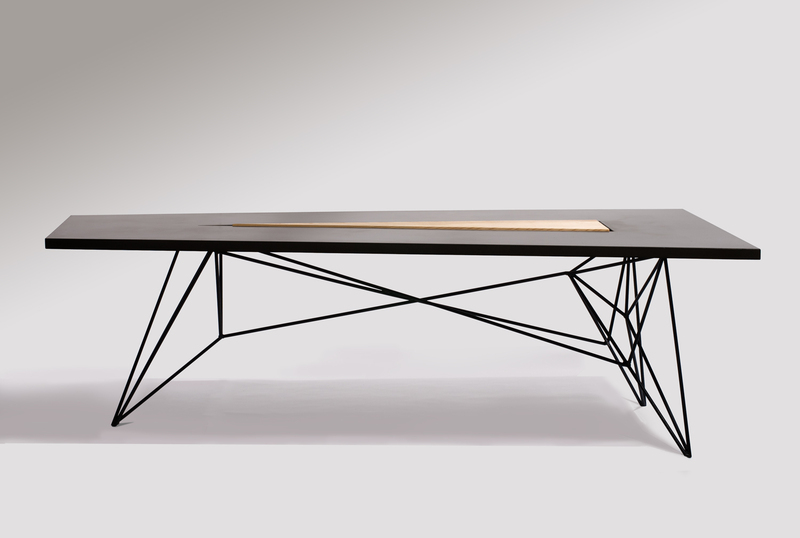 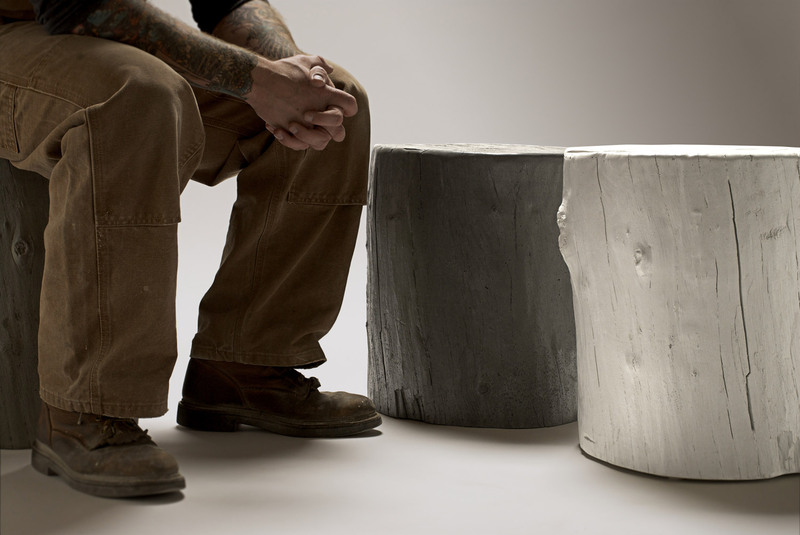 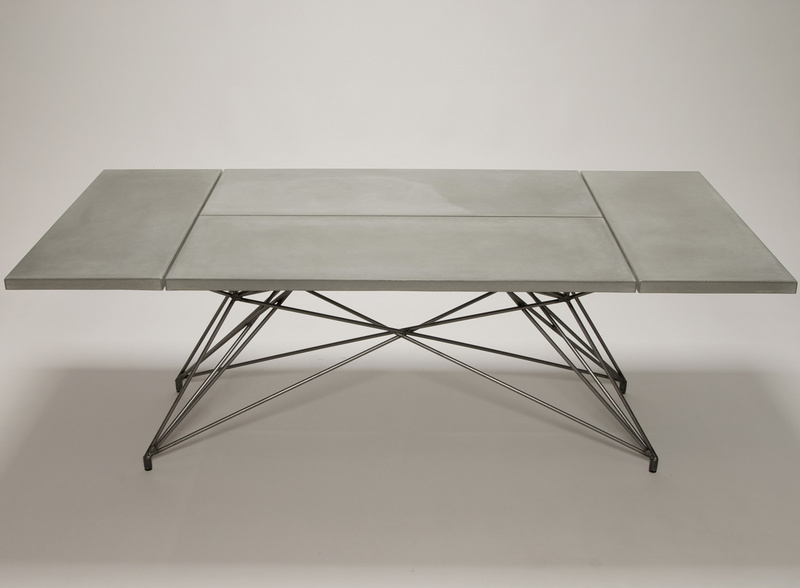 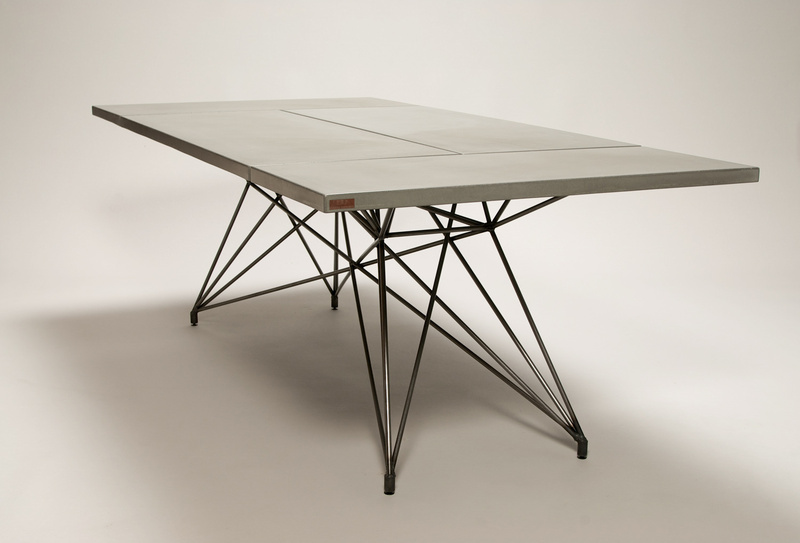 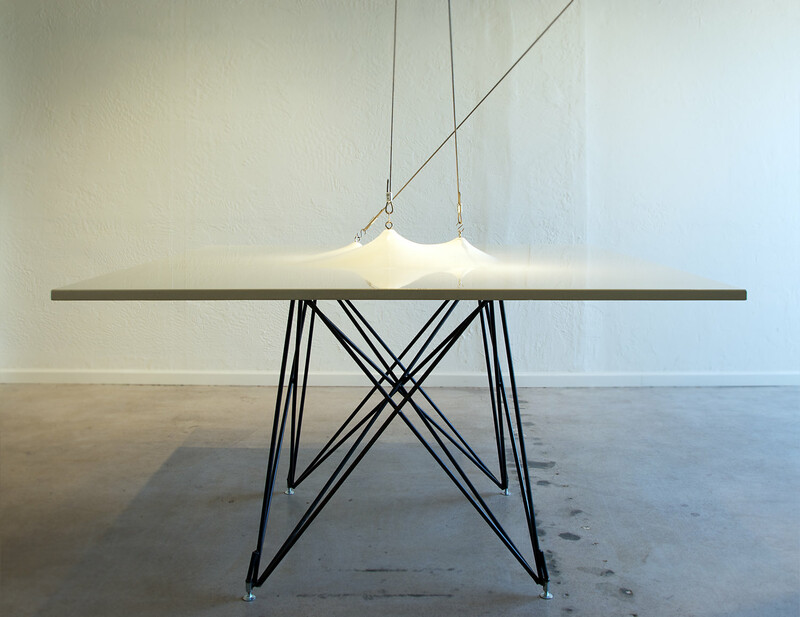 Hard Goods creates custom furniture in concrete, wood and steel for demanding environments of all kinds. 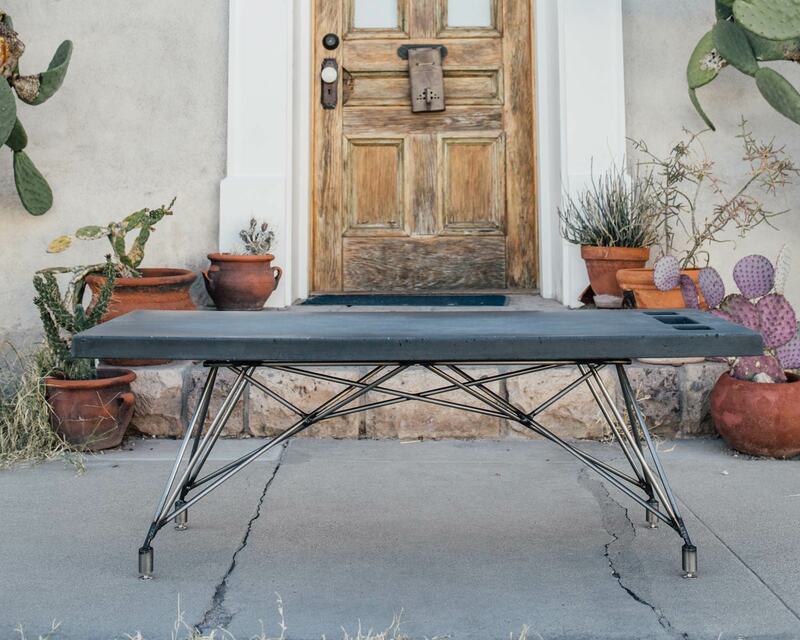 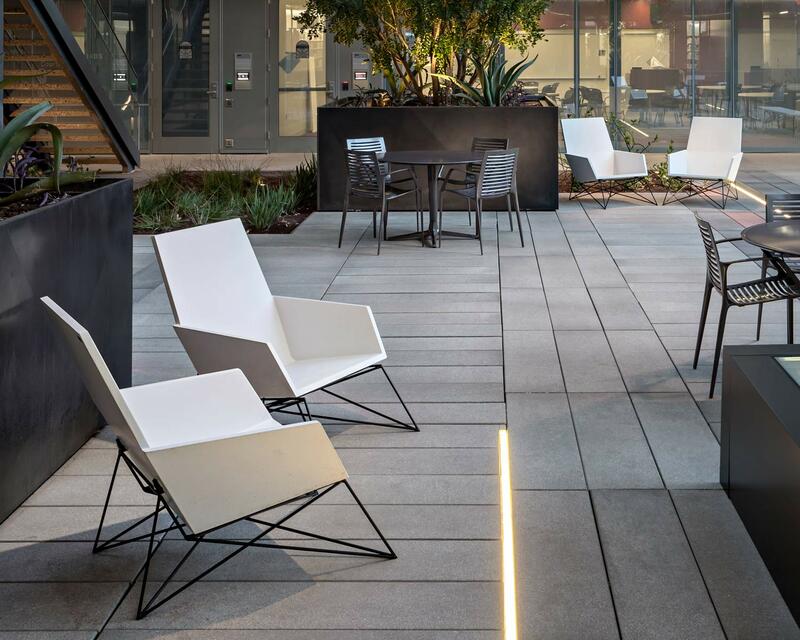 Our outdoor furniture can withstand the elements of a costal climate or the rigors of state and national parks. 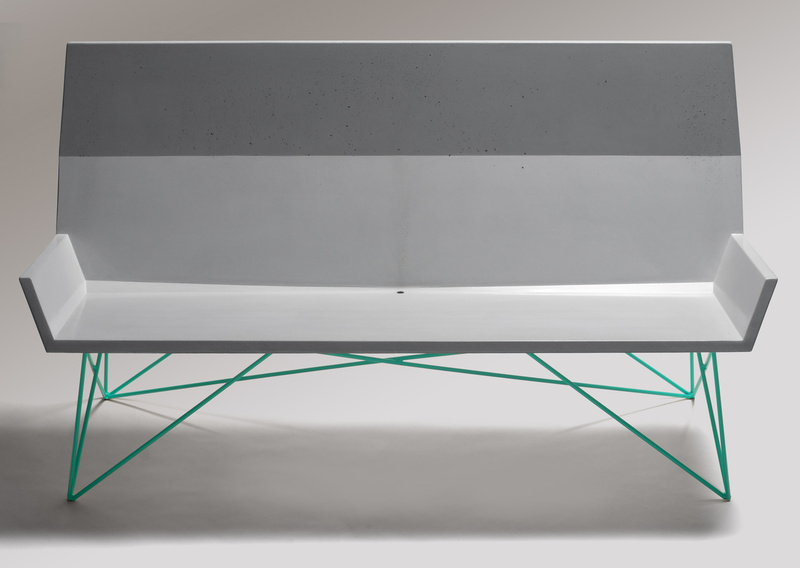 We have developed bespoke seating solutions used at restaurants, schools and government buildings in addition to private residences. 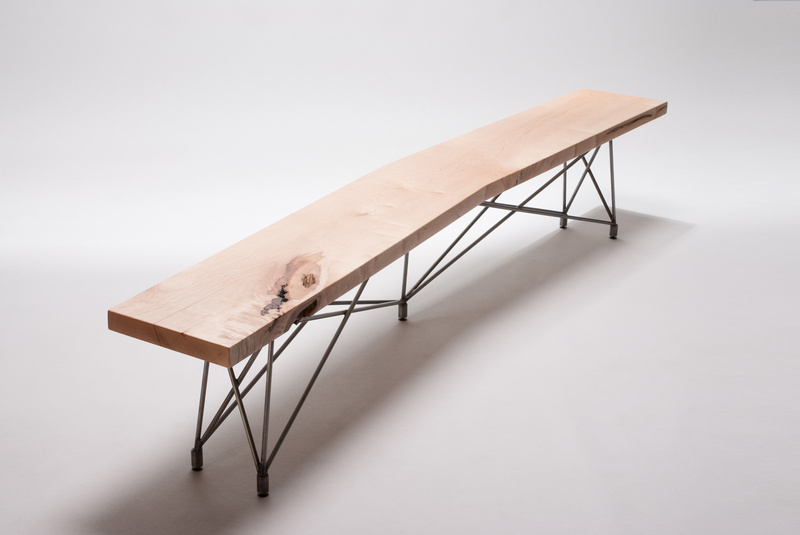 Here you’ll find custom benches, stools and the award-winning Modern Muskoka chair. 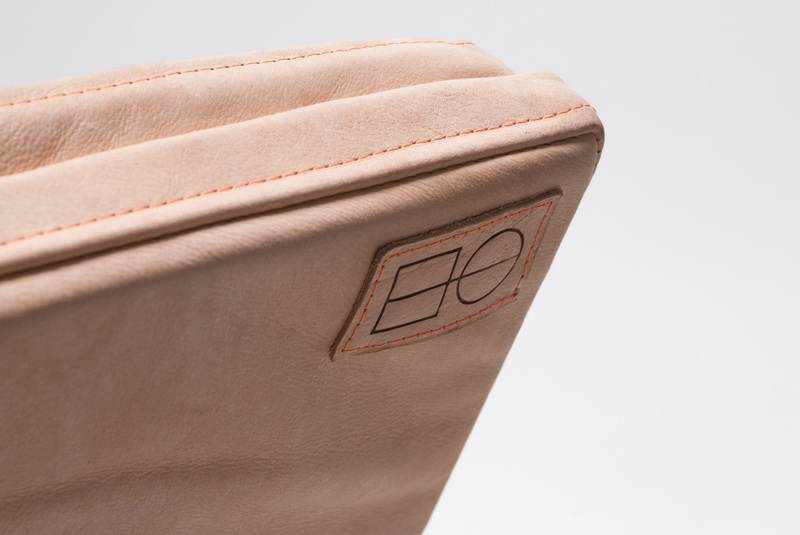 If you value quality design, craft and longevity we’d love to work with you. 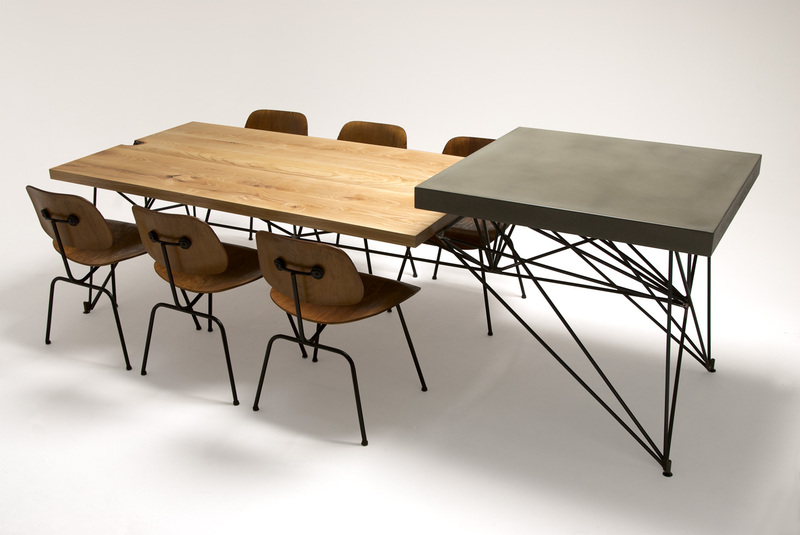 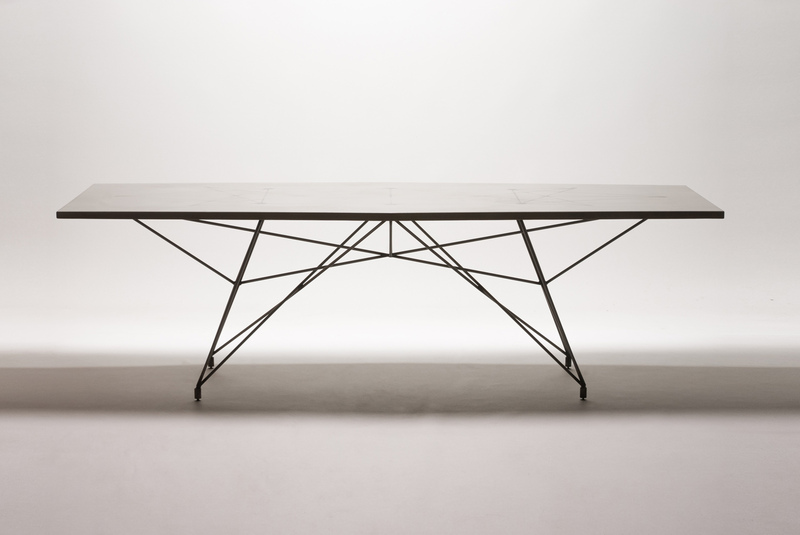 Timeless as well as functional, Hard Goods tables and desks are designed from concrete, wood and steel – real materials that patina gracefully and only get better with age. 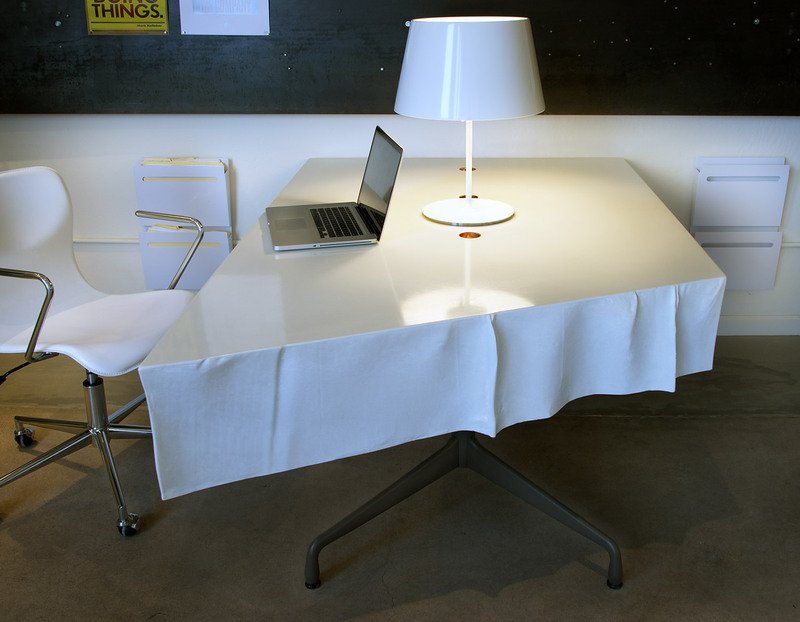 We custom build tables for dining rooms, offices and conference rooms in addition to coffee tables and reception desks. 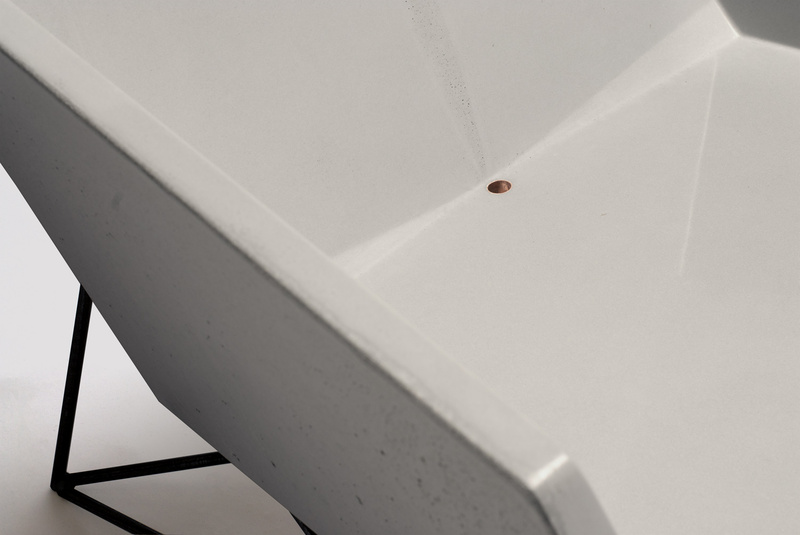 We have the ability to manufacture and ship nationally and internationally. 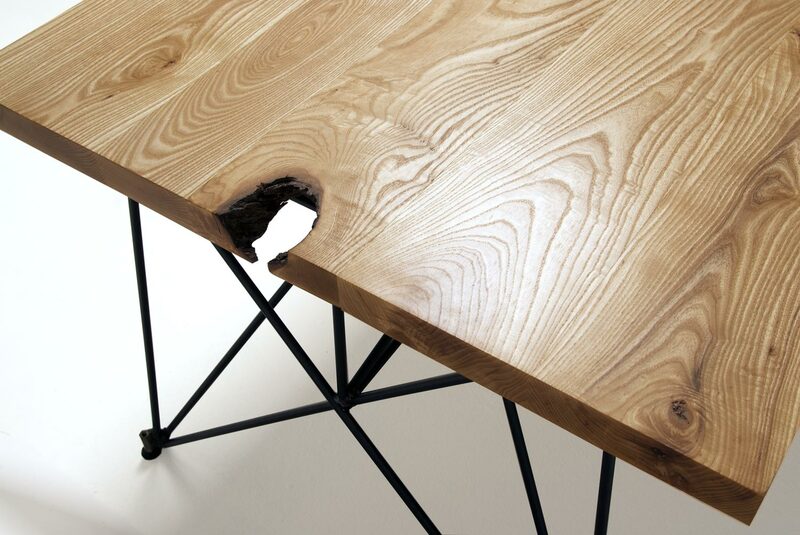 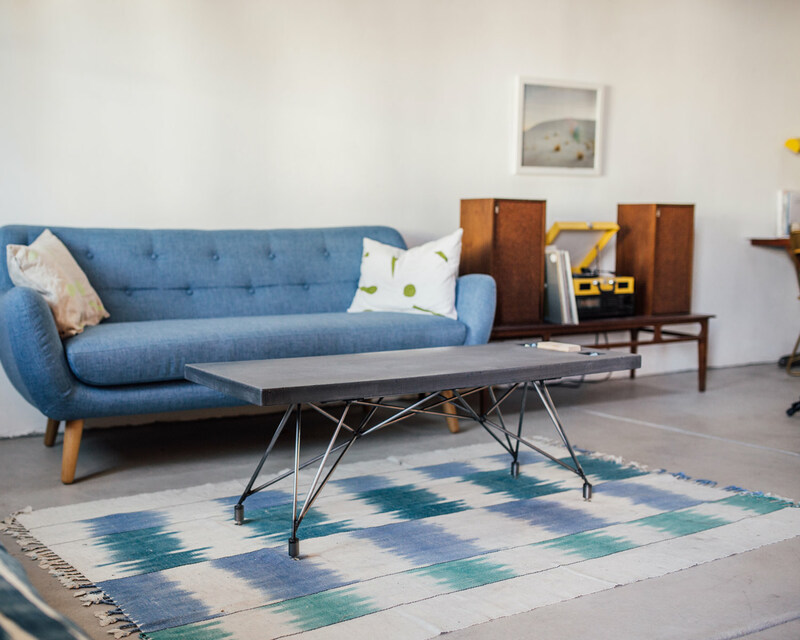 Experience beauty, design and function in your home or workspace with Hard Goods for your next project. 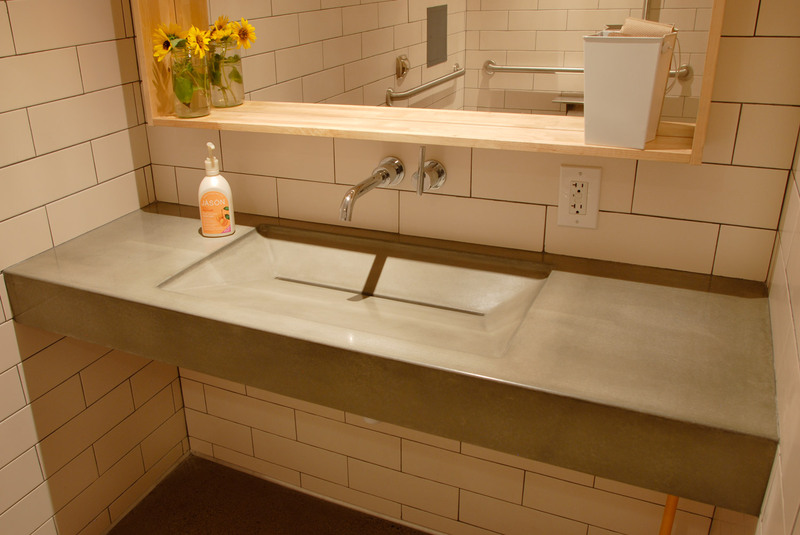 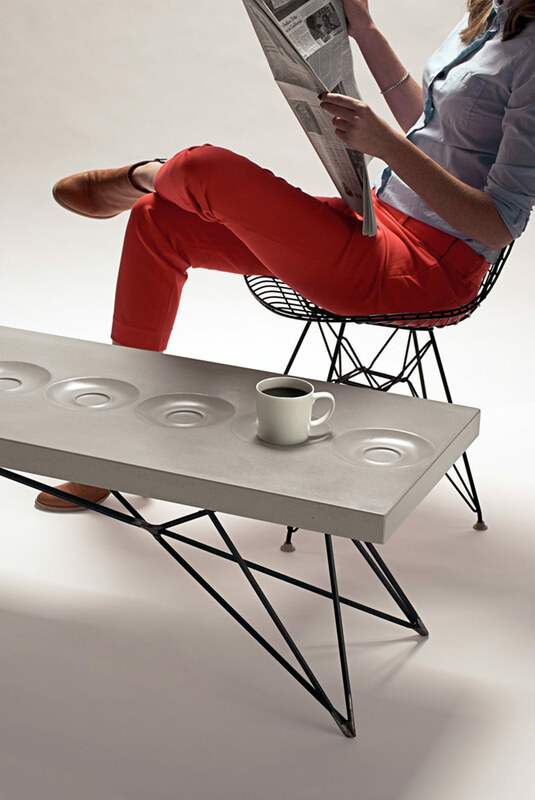 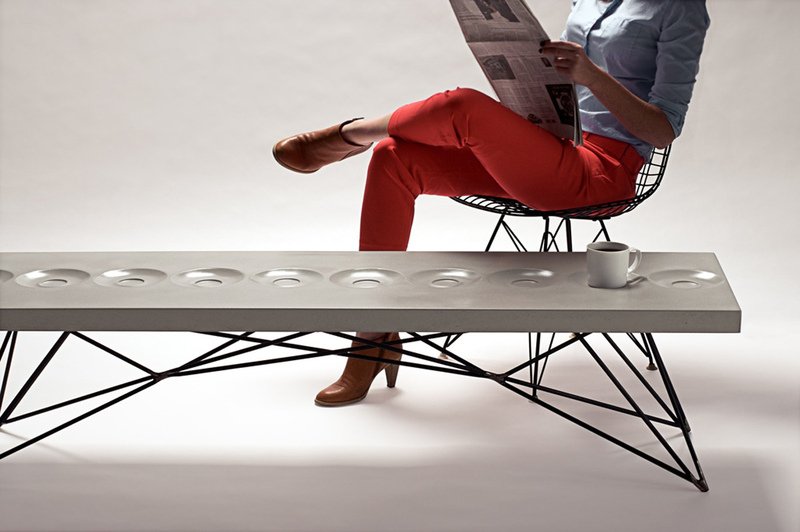 Concrete is the most versatile countertop material available, offering endless options for color, shape, and thickness. 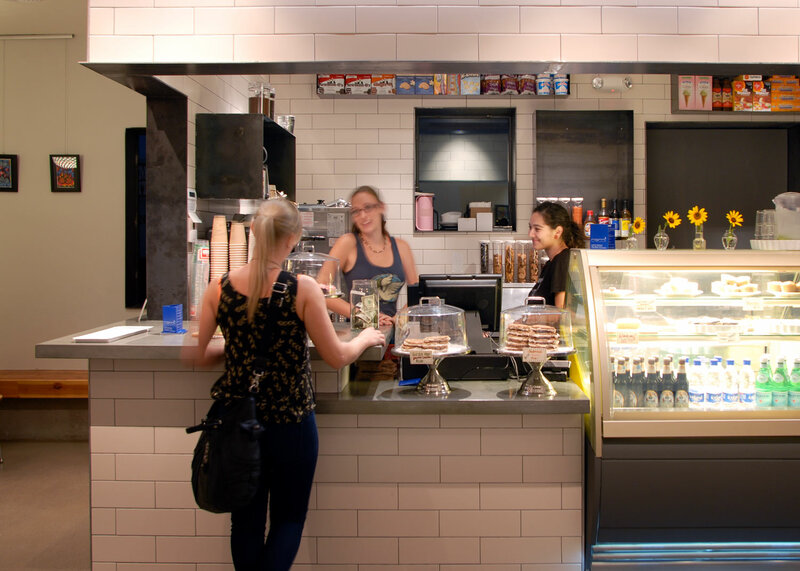 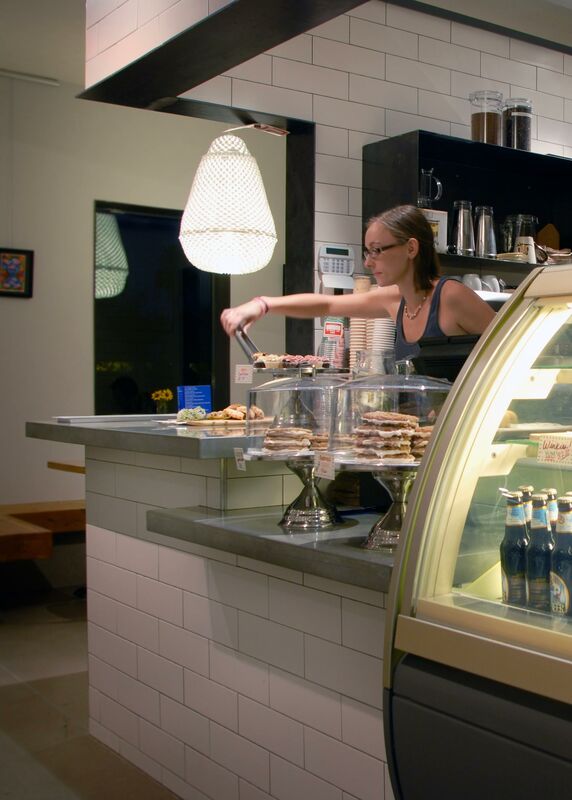 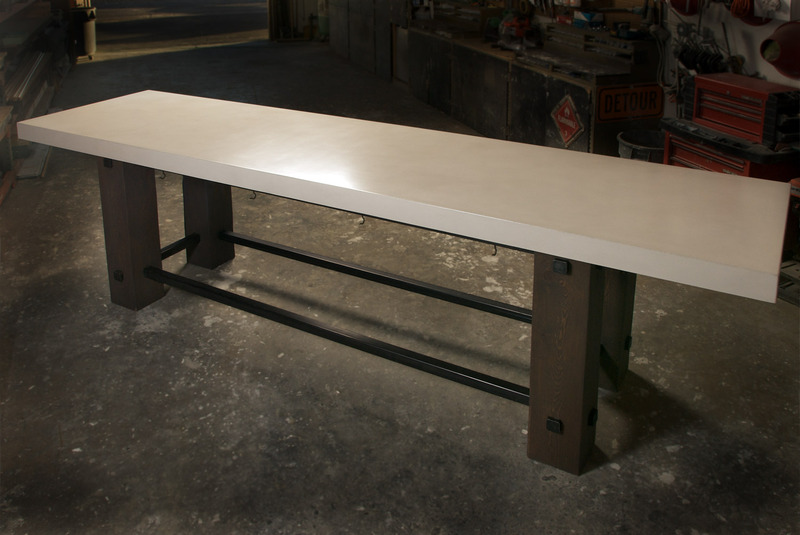 Hard Goods has a small team of concrete artisans who are able to handcraft kitchen countertops and slab goods. 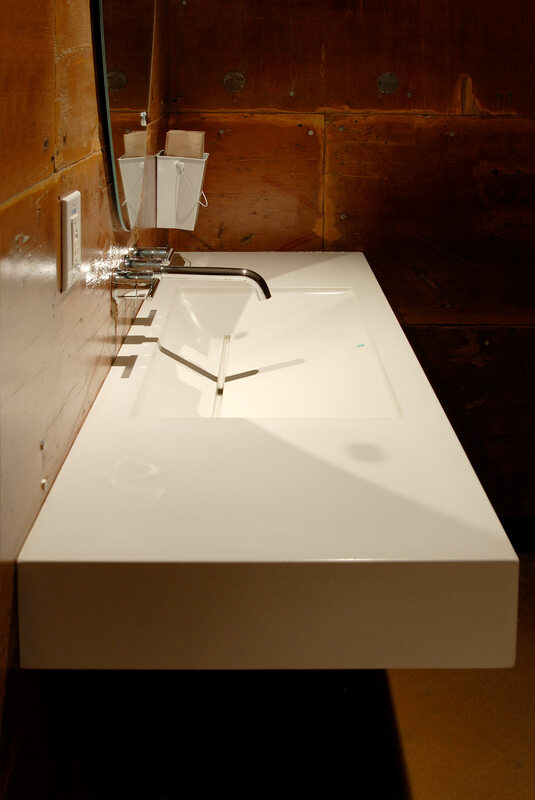 Our design process allows full customization of your project. 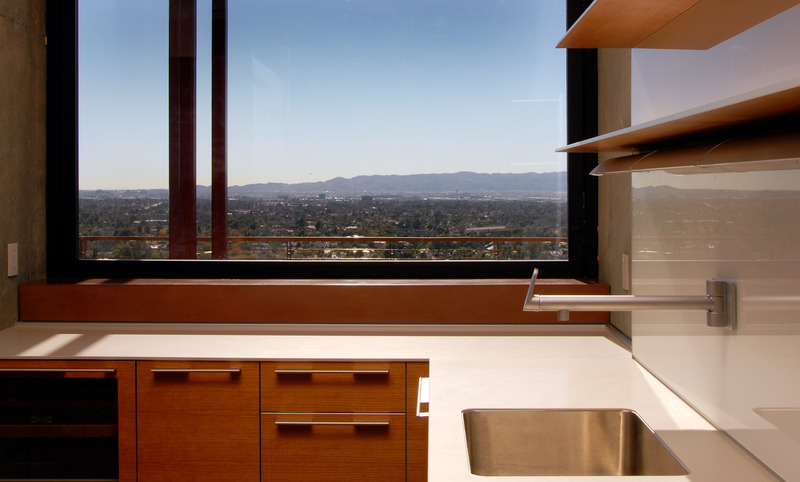 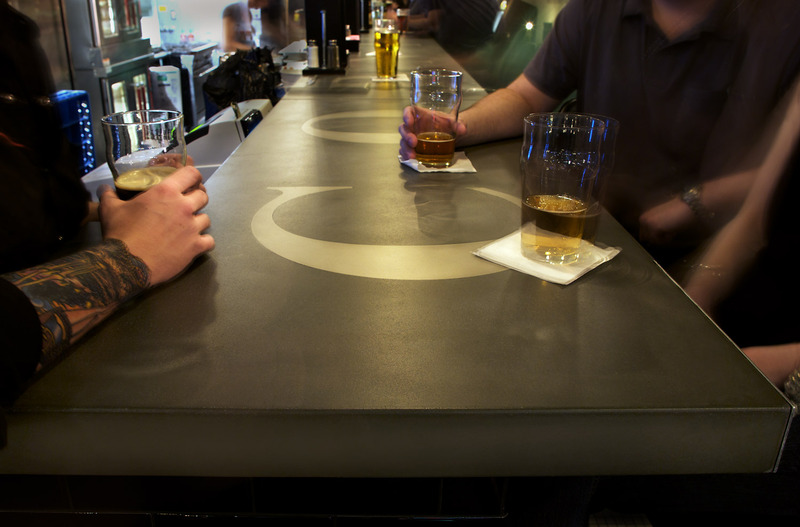 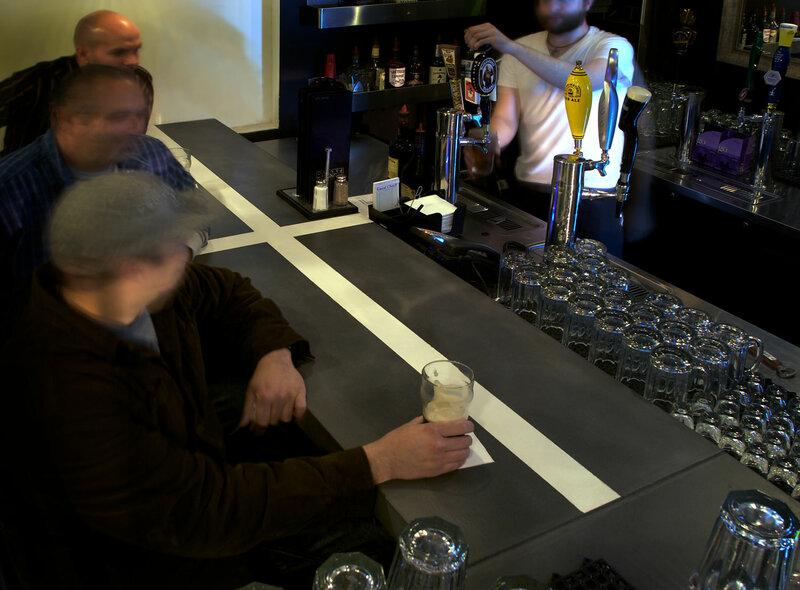 Residential kitchen counters, retail countertops, restaurant bar tops and reception desks are just some of the tailor-made pieces we’ve created. 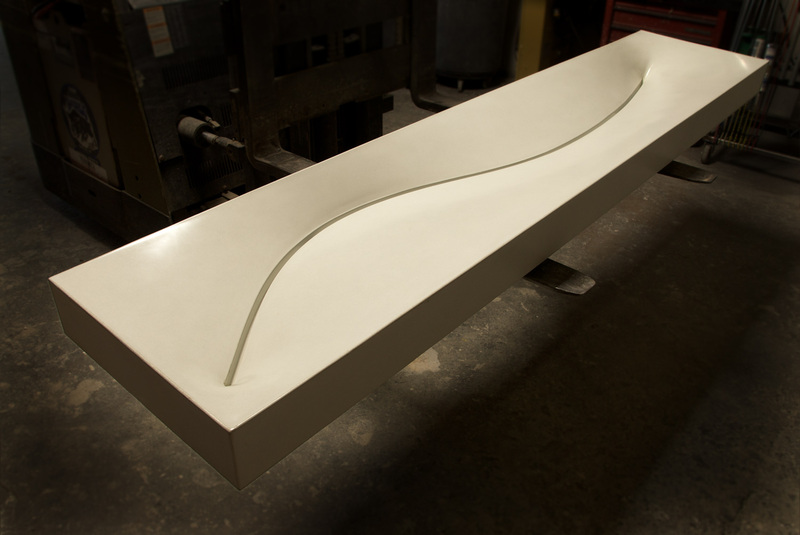 Contact us today to discuss how we can begin designing the perfect piece for your project. 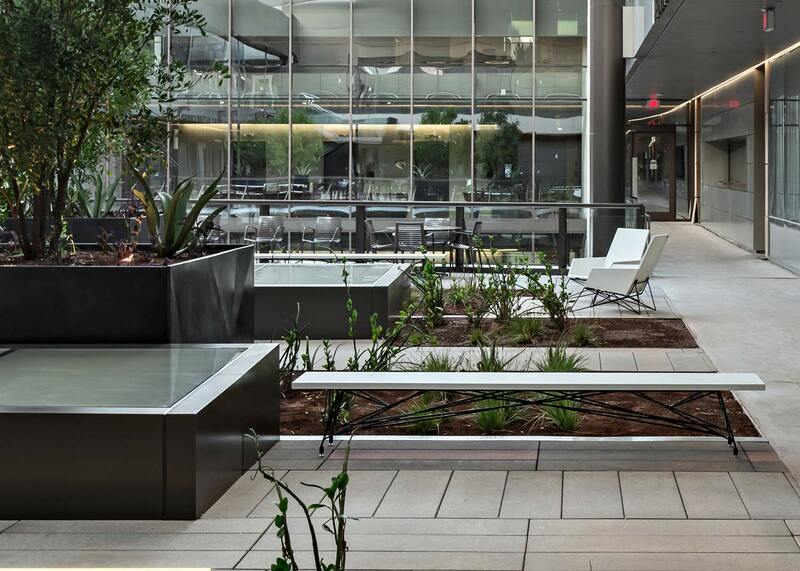 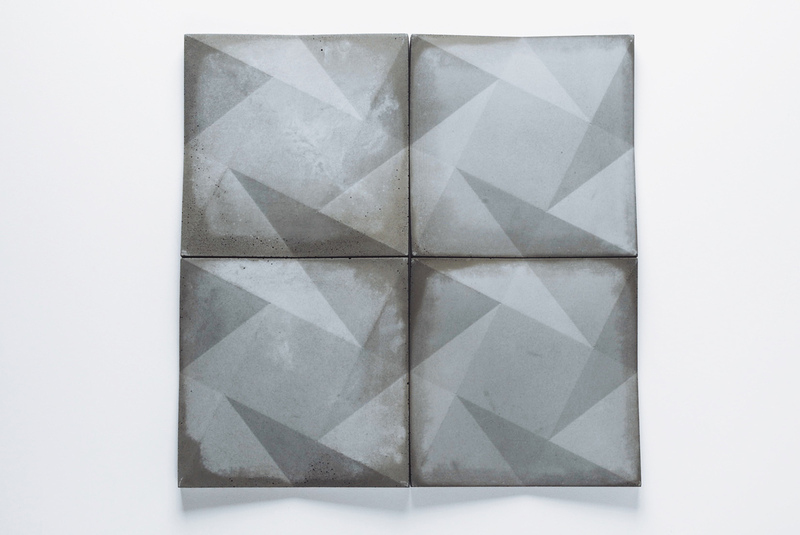 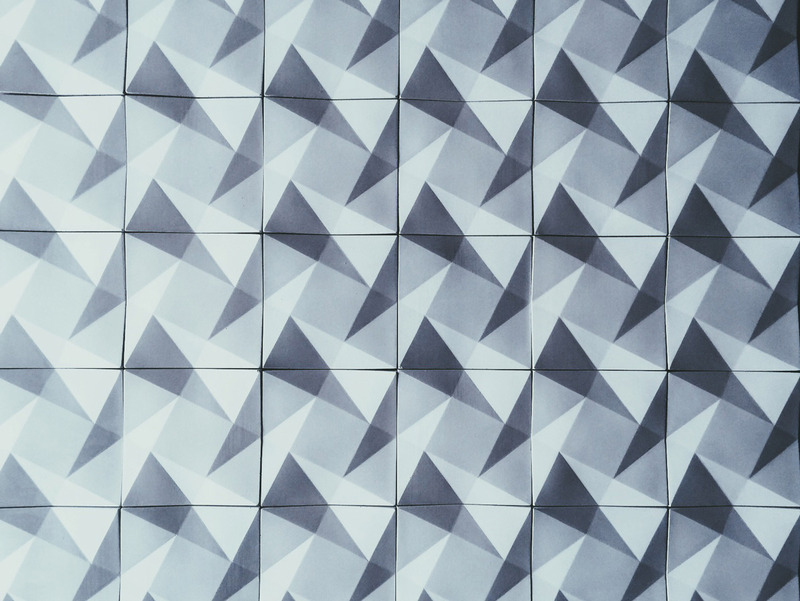 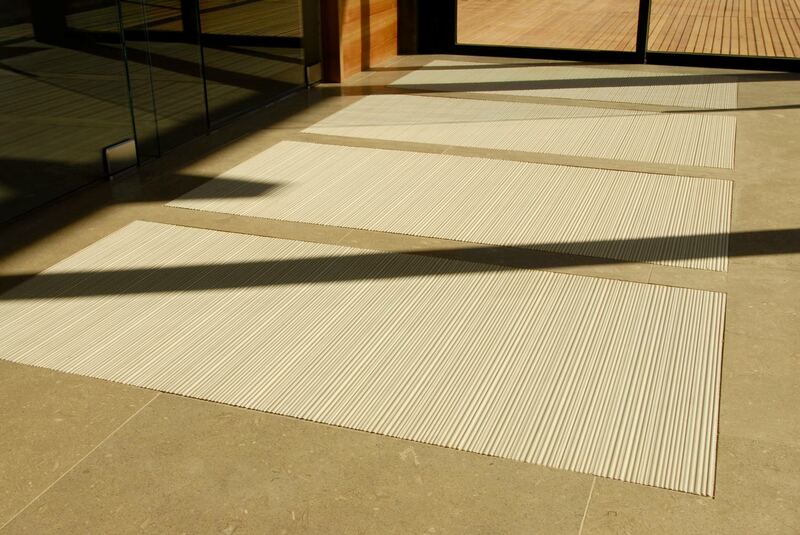 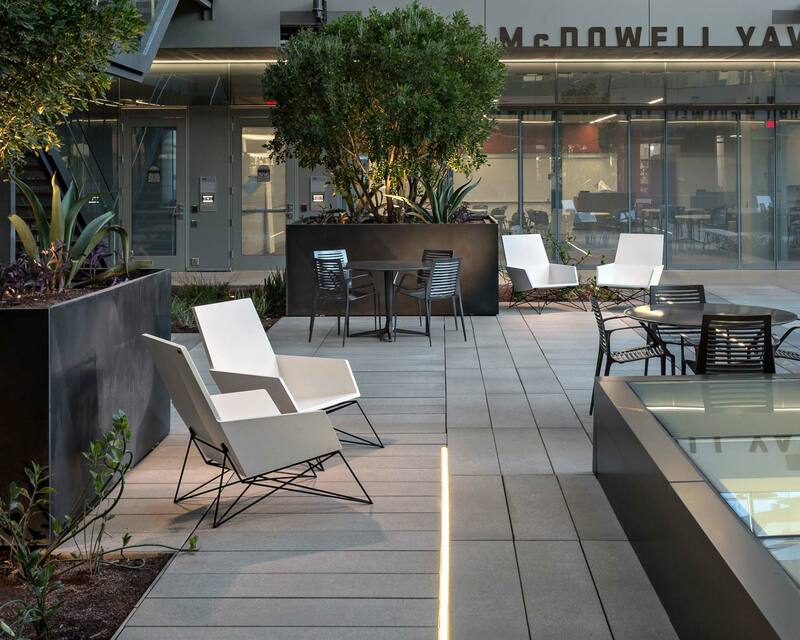 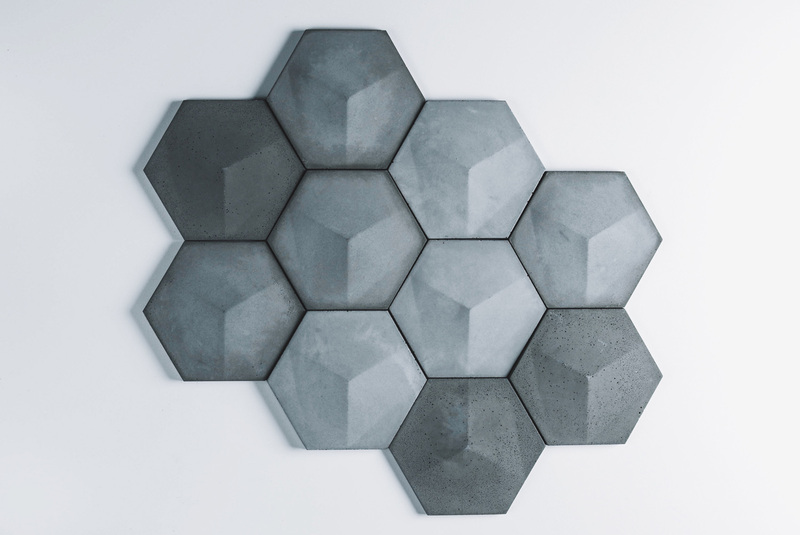 Concrete tile has resurged in popularity with architects and designers and for good reason. 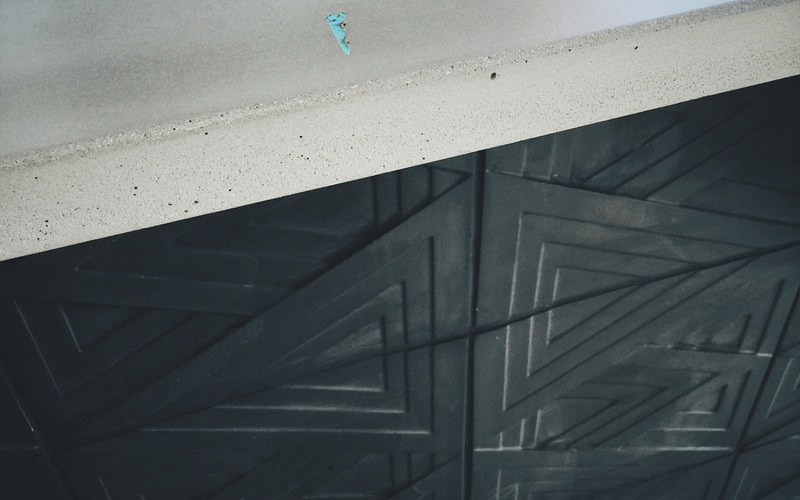 With unlimited options for color and size, concrete tile is a durable solution for any commercial or residential project. 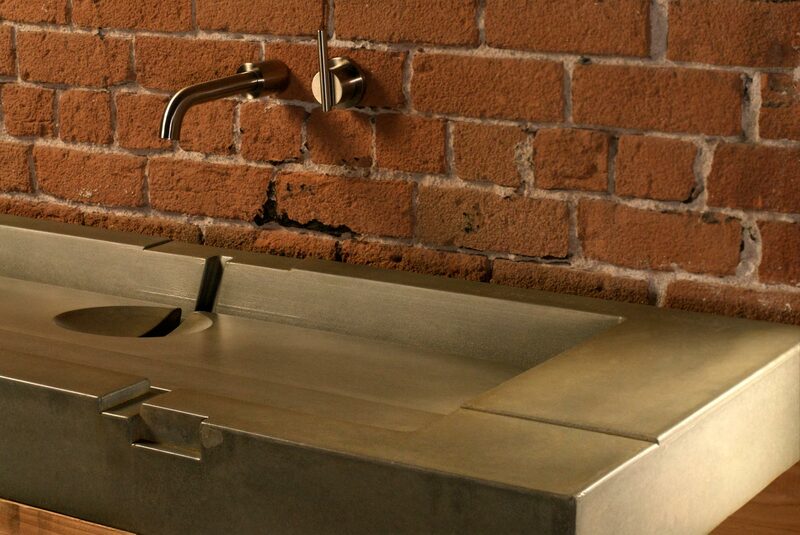 It stands the test of time in even the most demanding applications. 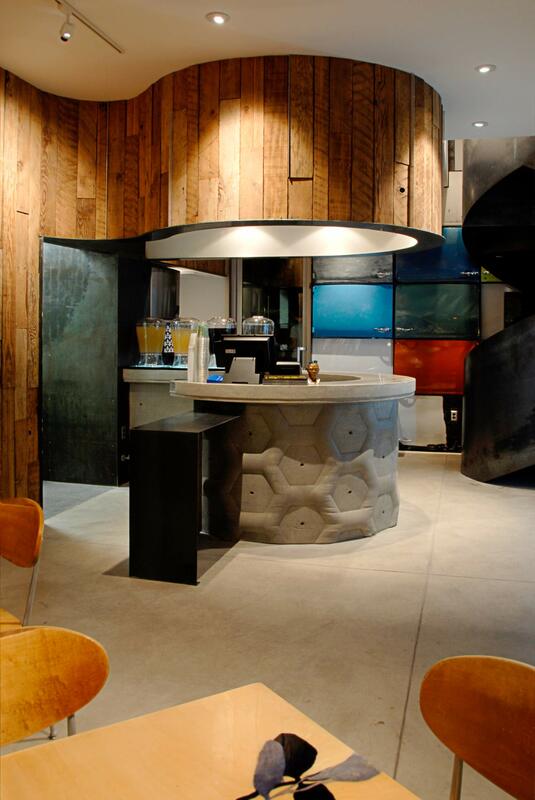 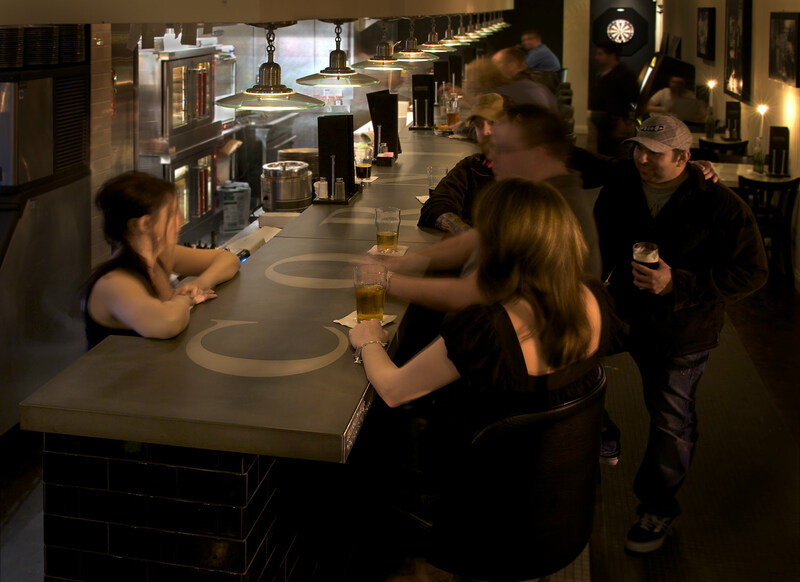 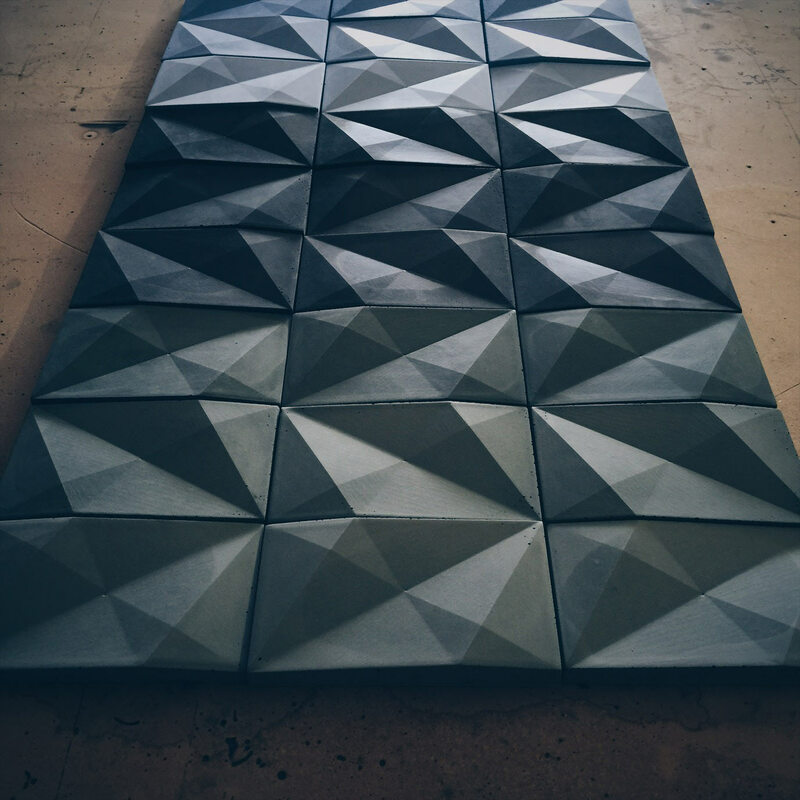 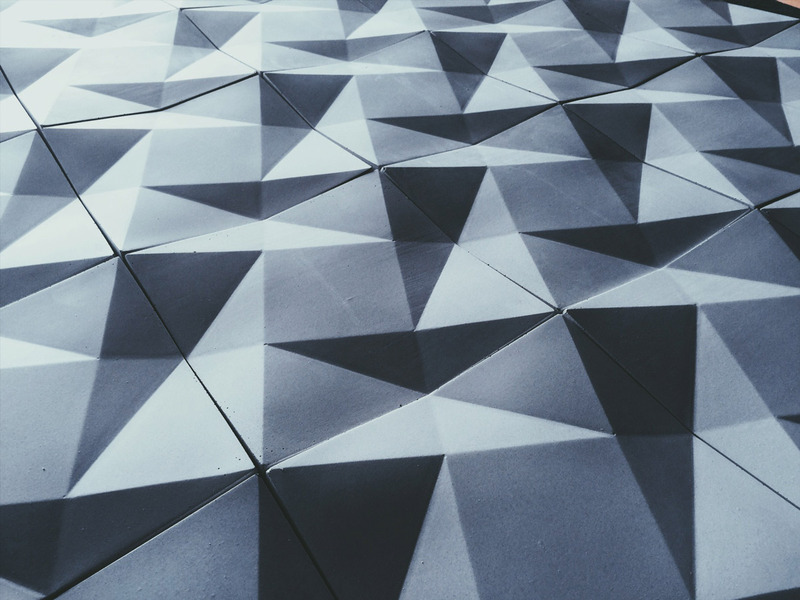 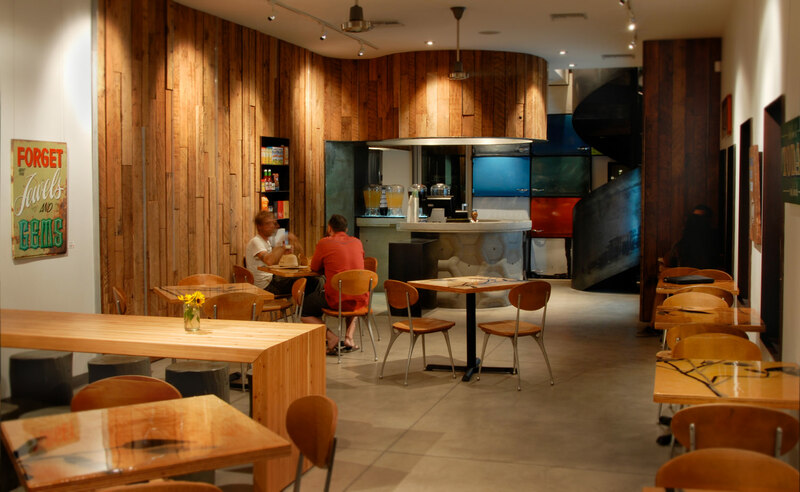 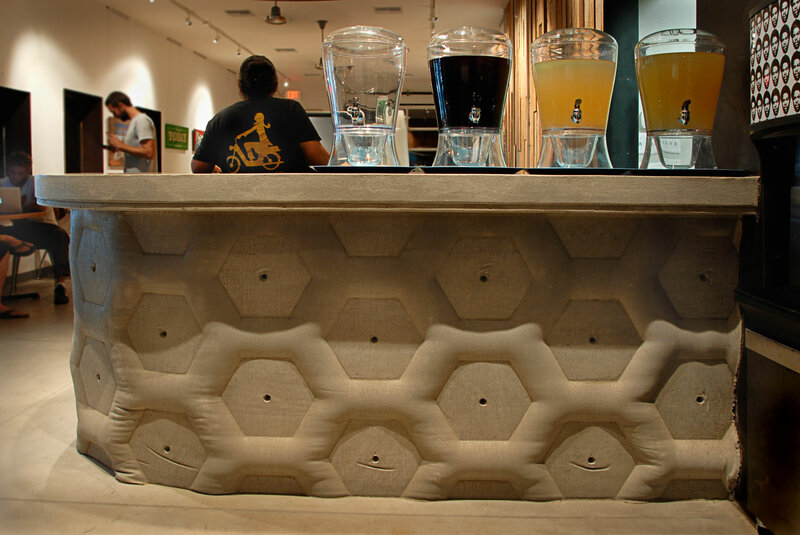 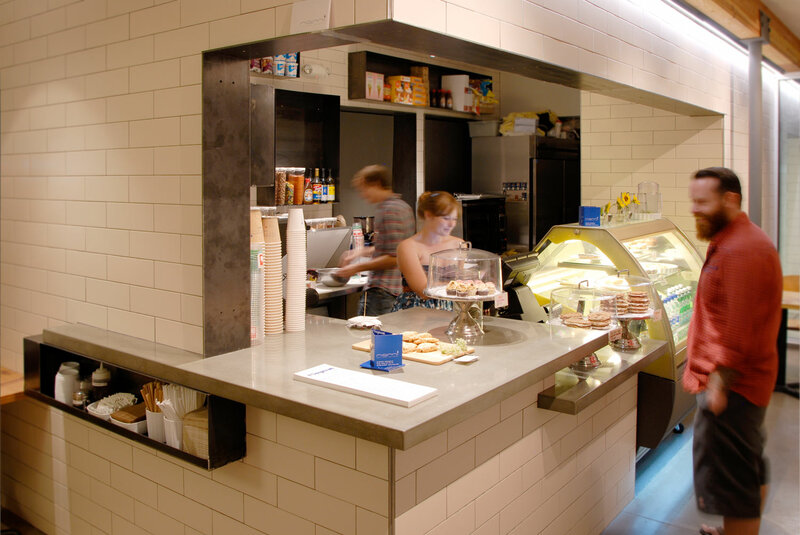 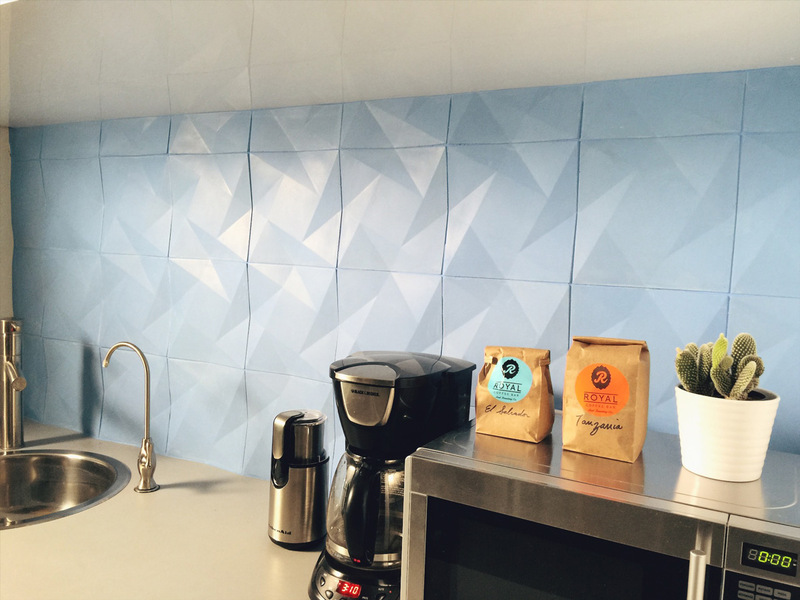 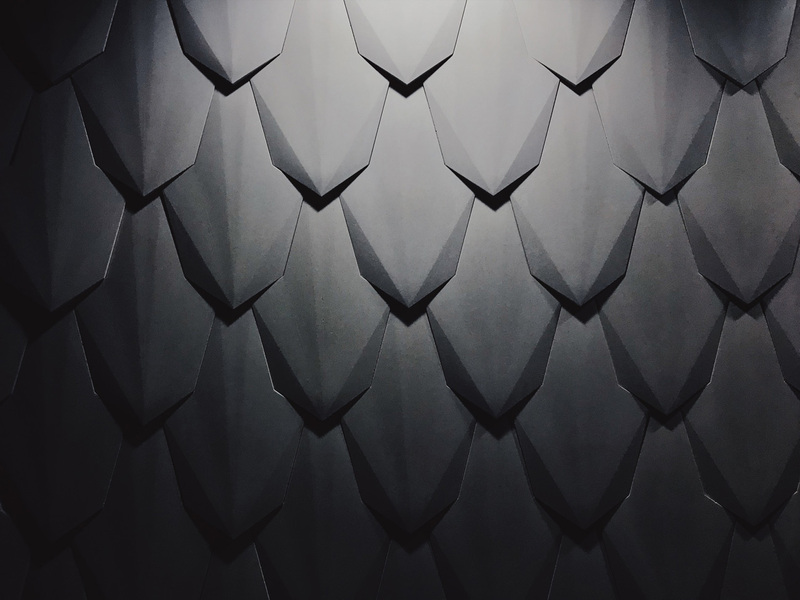 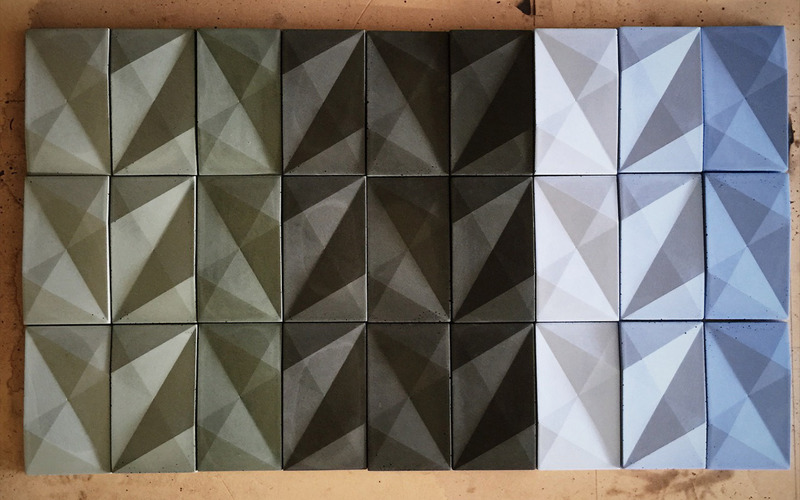 Hard Goods offers custom concrete tile design and fabrication services, including 3D accent wall and floor tiles. 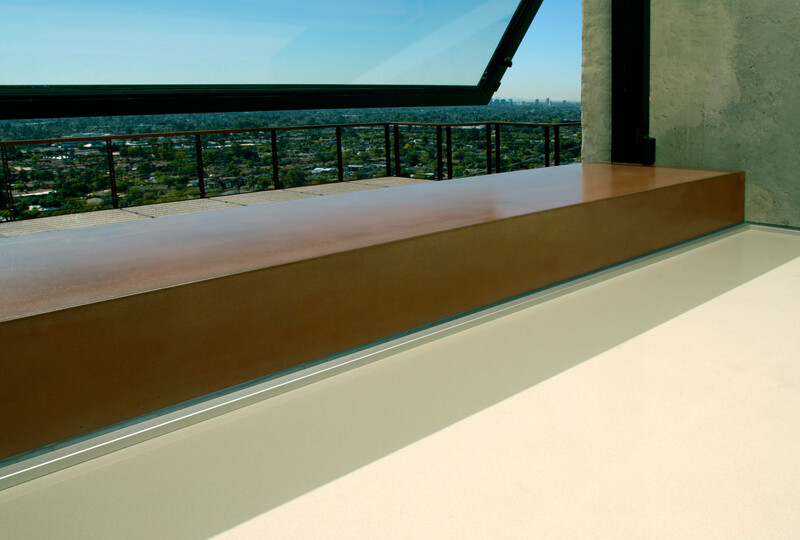 If you can describe it, we can make your vision a reality. 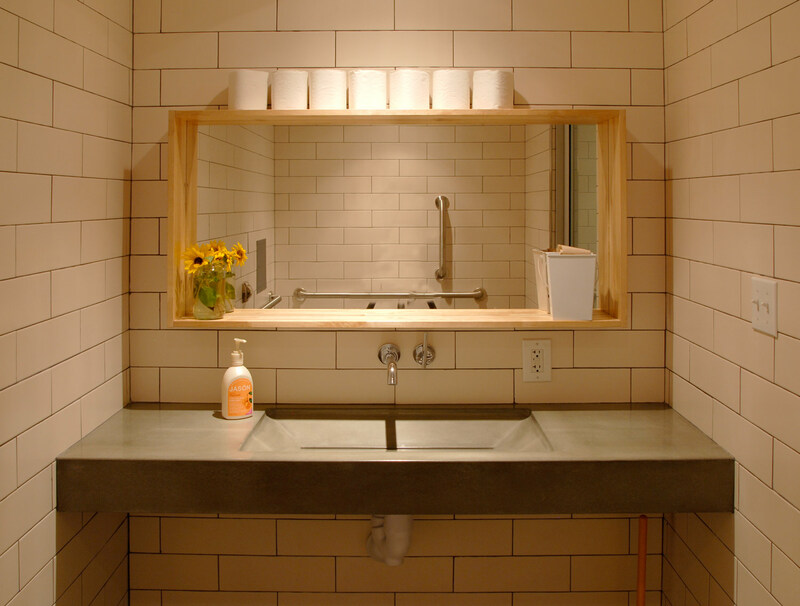 We’ll work with you to create a solution for your home or business that is functional as well as unique. 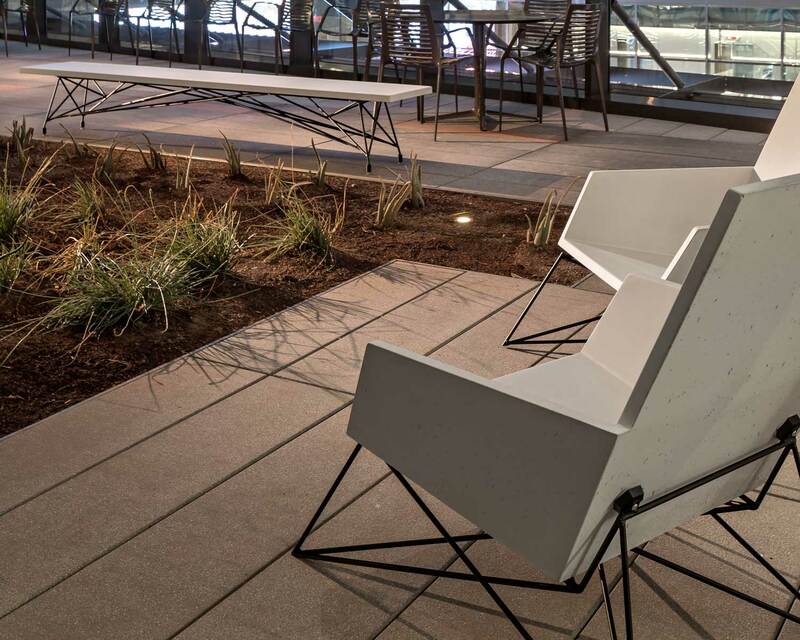 Hard Goods Modern Muskoka Chairs and Concrete Wall Cladding, looking striking in this university rooftop terrace. 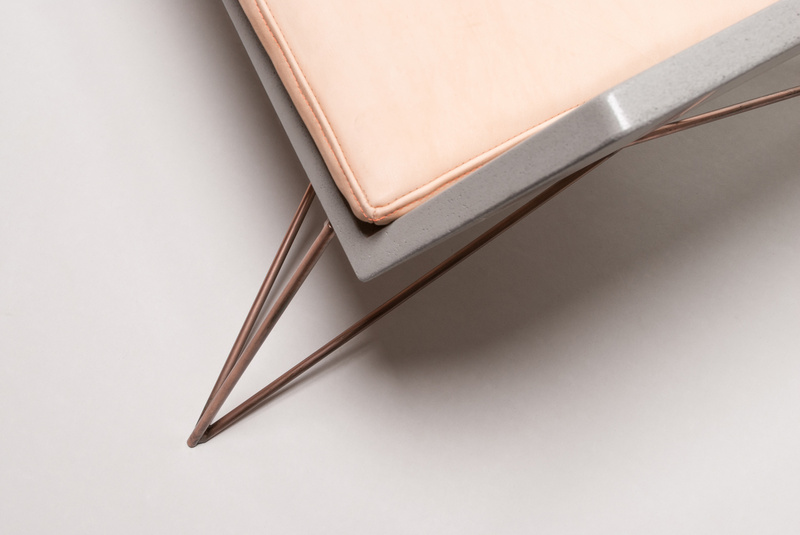 The details are everything - the details are every thing. 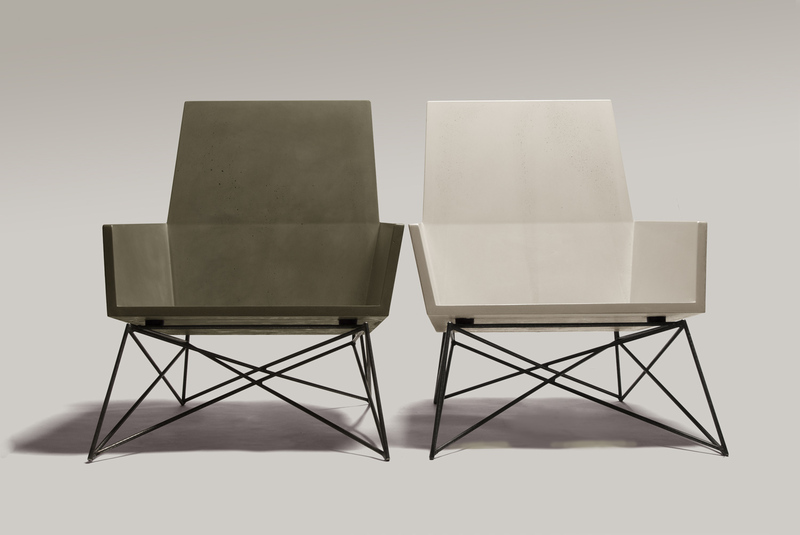 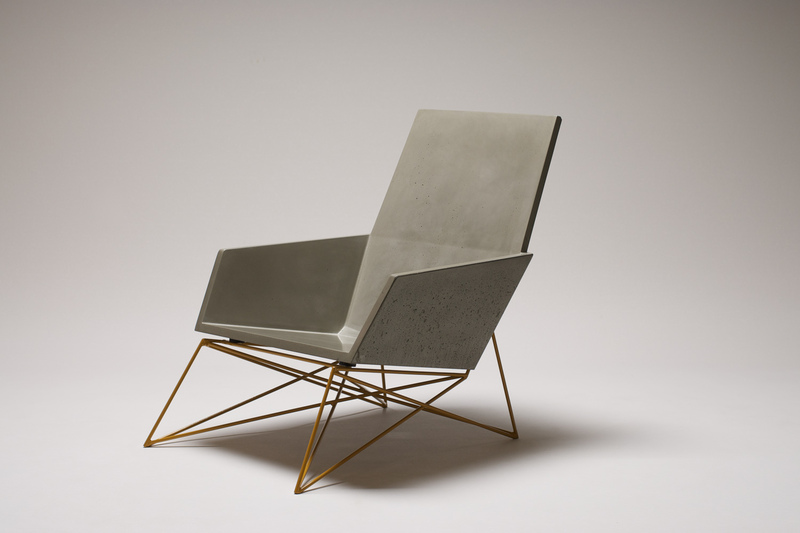 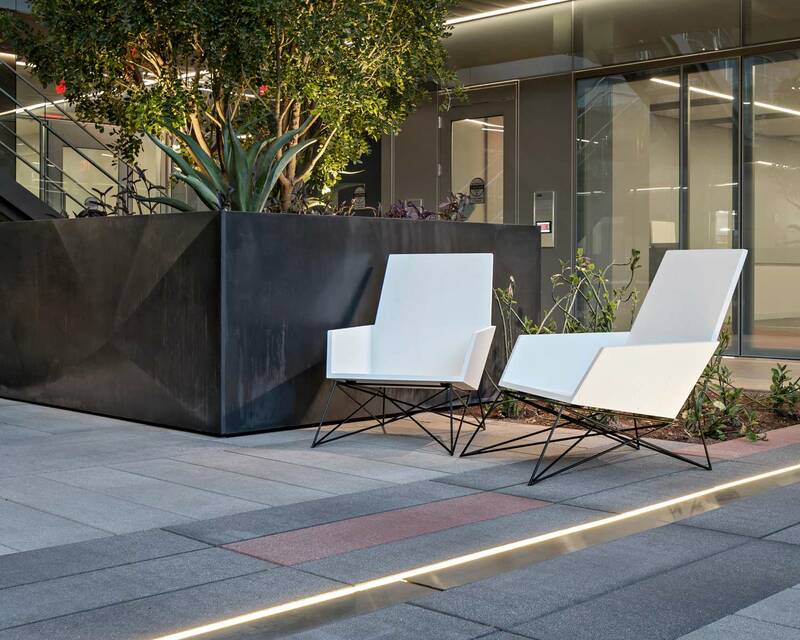 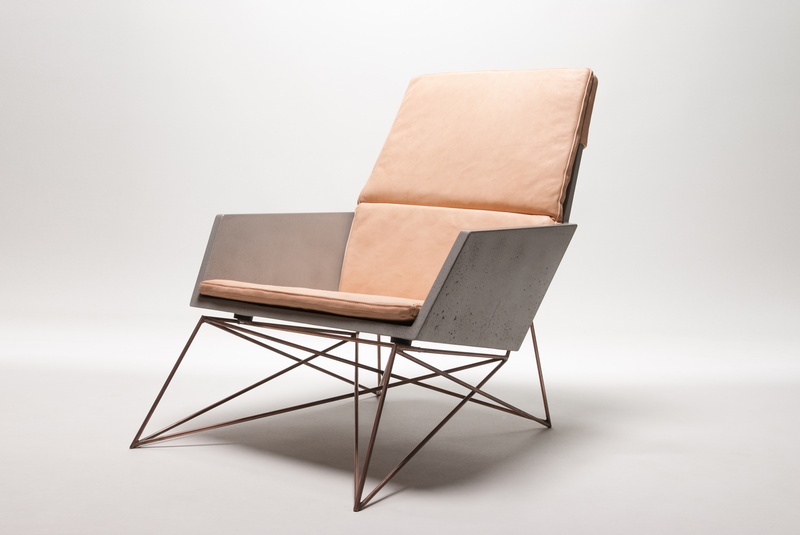 Limestone colored concrete, hand sewn vegetable-tanned full-grain leather cushions, and a copper plated base make the Arizona Edition Modern Muskoka Chair a stunner. 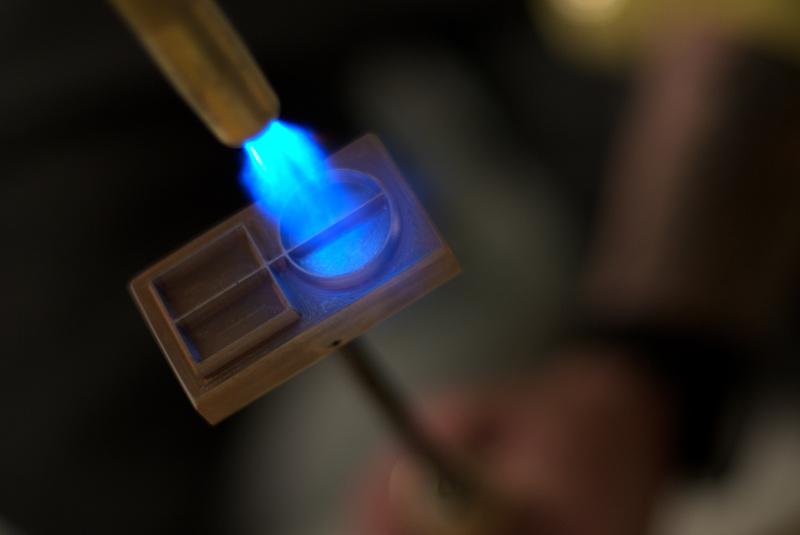 The hand of the craftsman is in every piece we make, artifacts of the process, but this is the mark of quality. 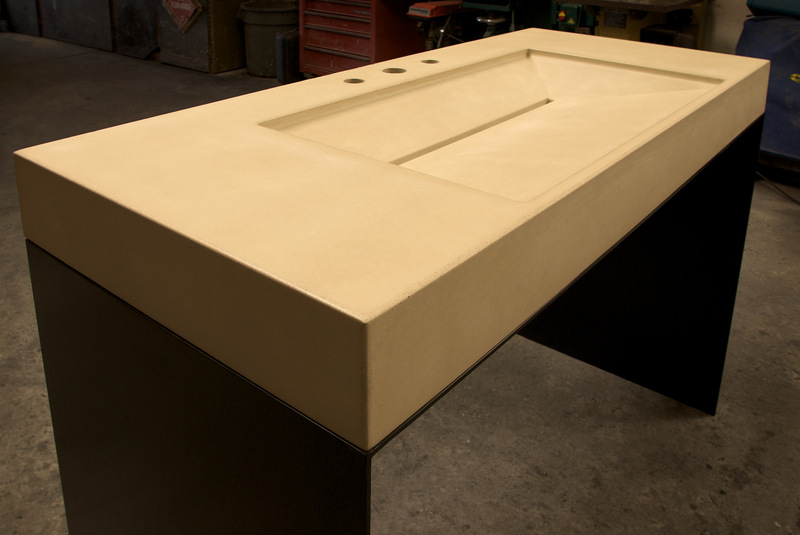 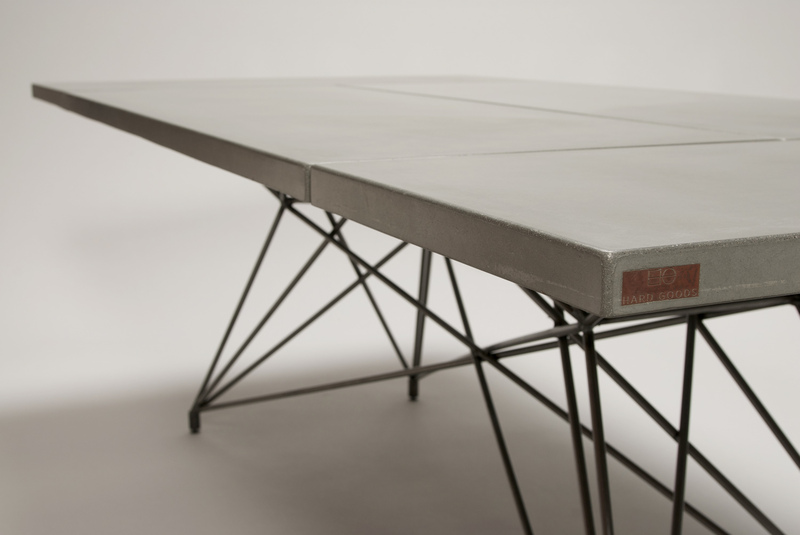 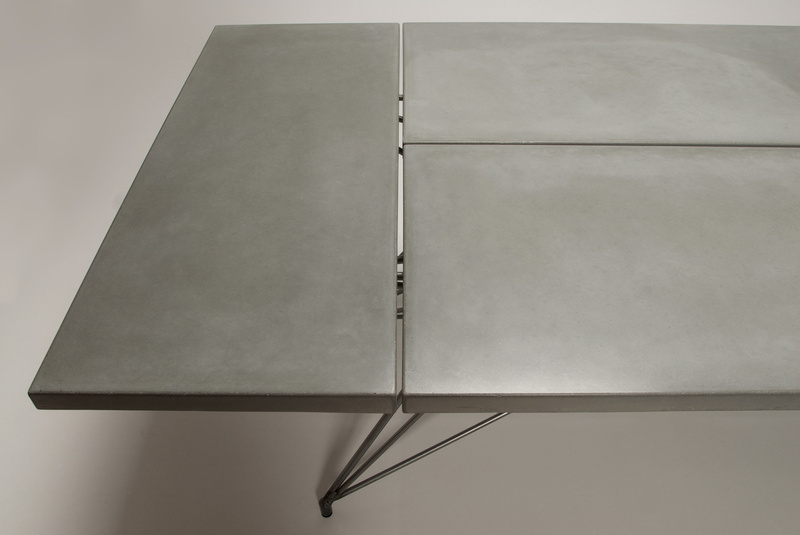 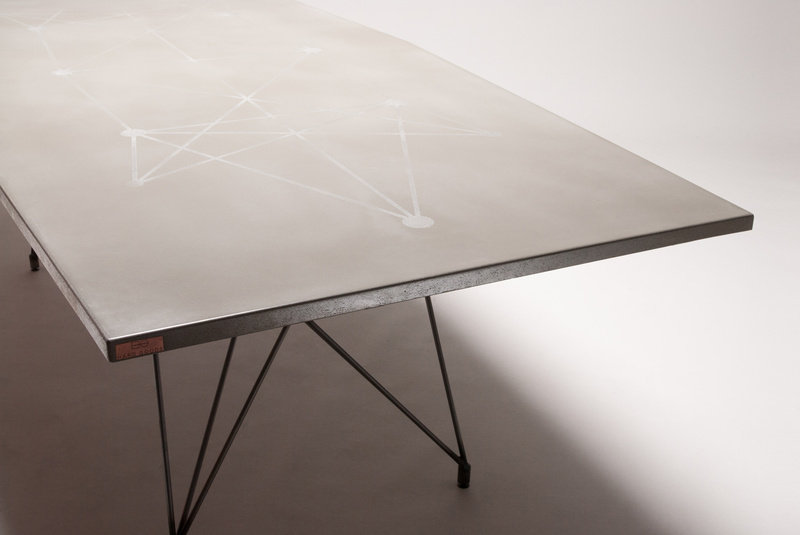 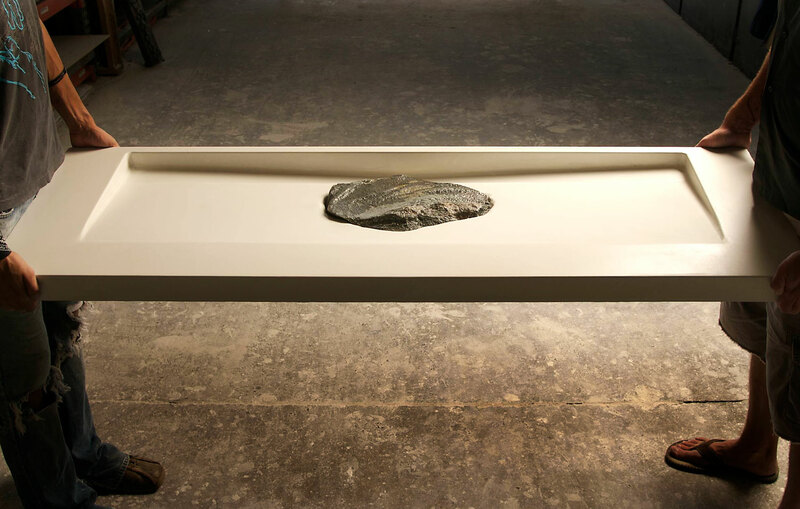 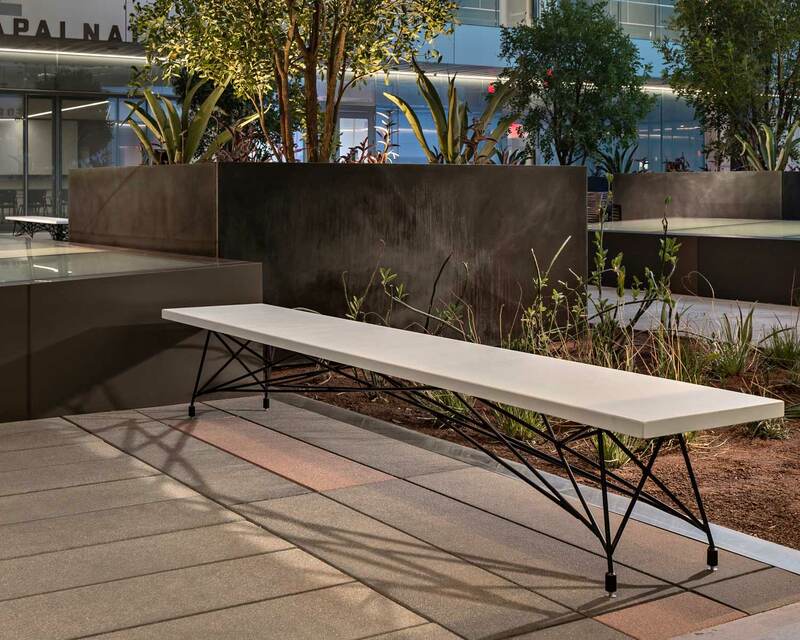 This isn't your grandfather's concrete - proprietary ultra high performance mixes allow us to cast seemingly impossible designs, such as this carbon colored custom concrete desk. 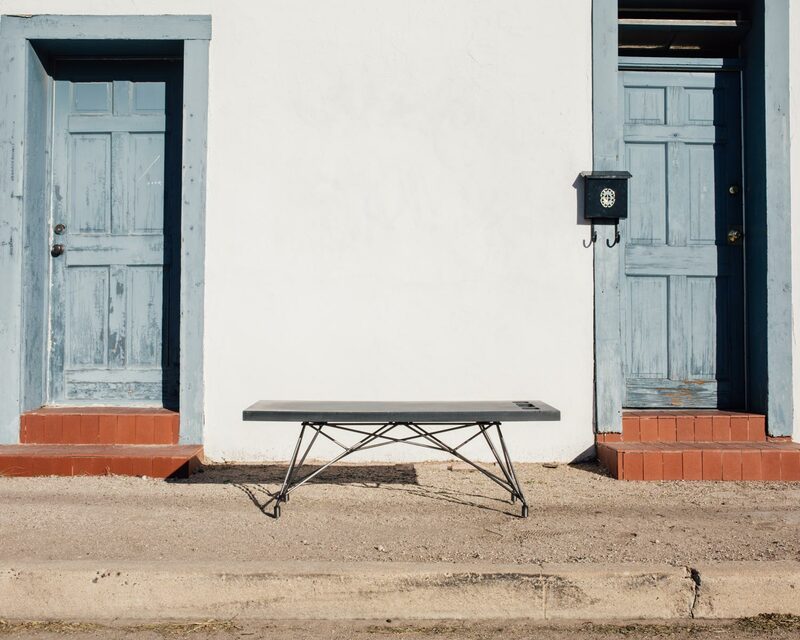 A brand that means something - we build things to last forever, or as close to it as possible. 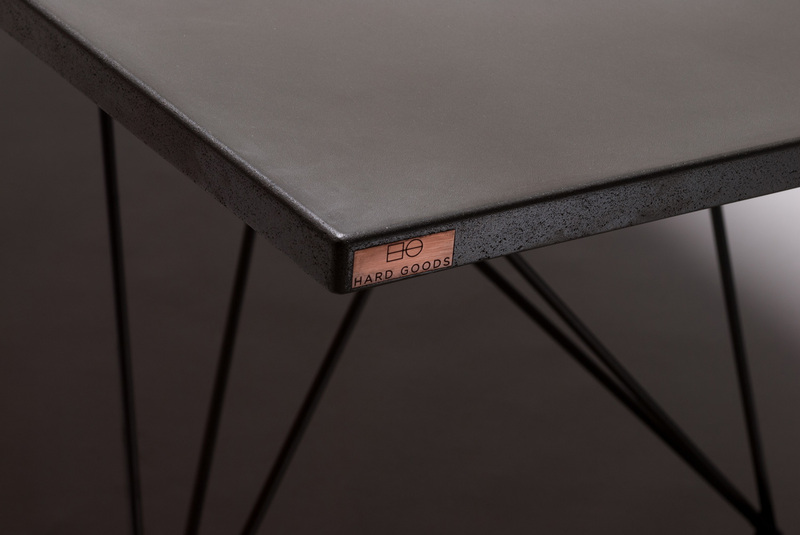 If you want the best for your project there is only one option, Hard Goods. 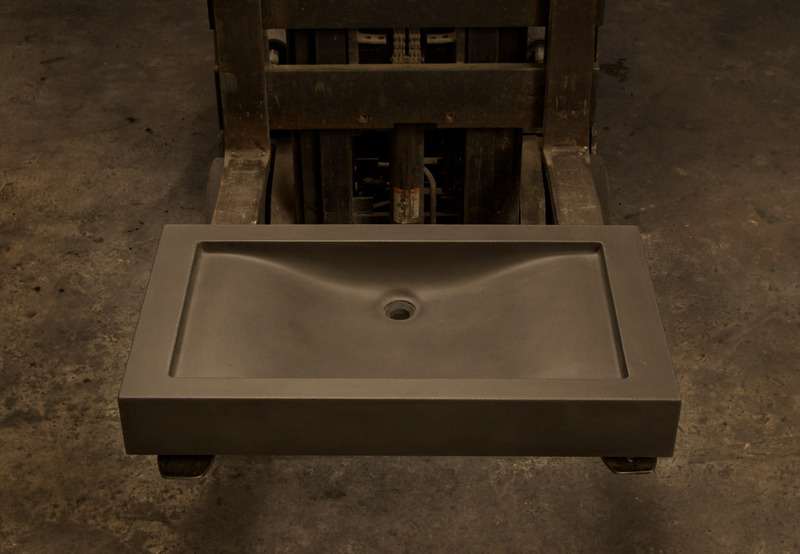 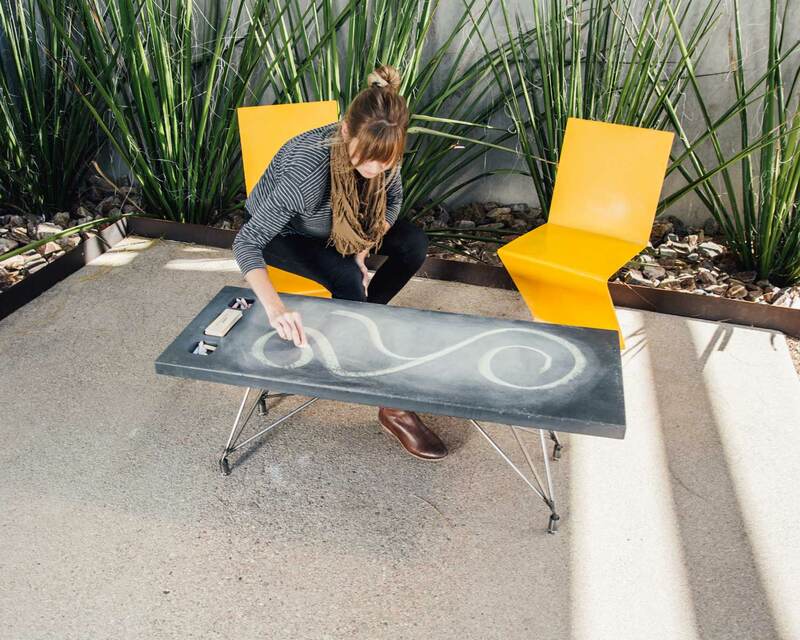 Concrete is not the only medium we work with at Hard Goods. 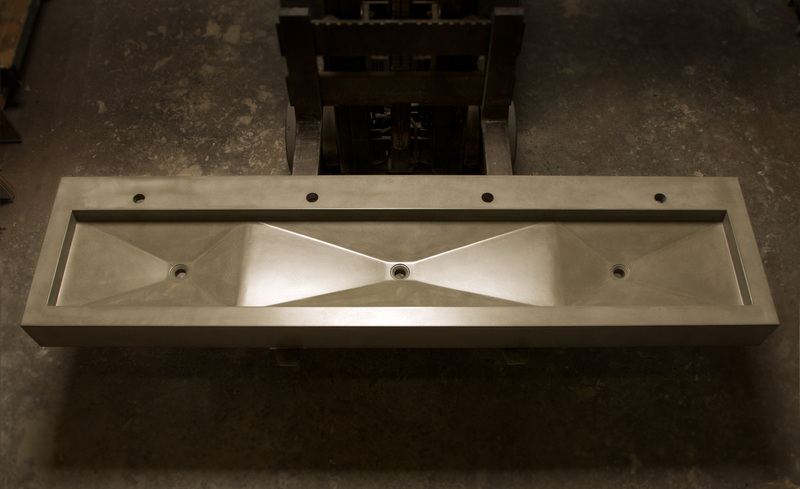 We believe in the honesty of elements and have faith in the design and manufacturing process that combines them. 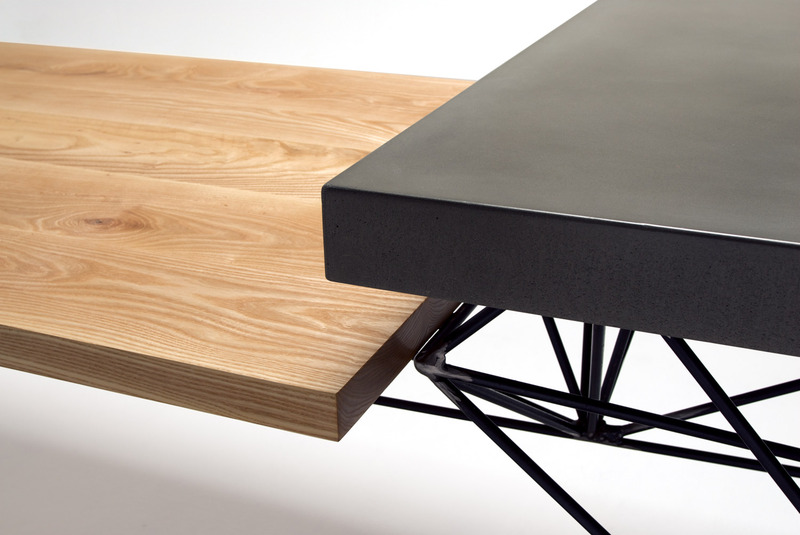 We regularly work with steel and wood. 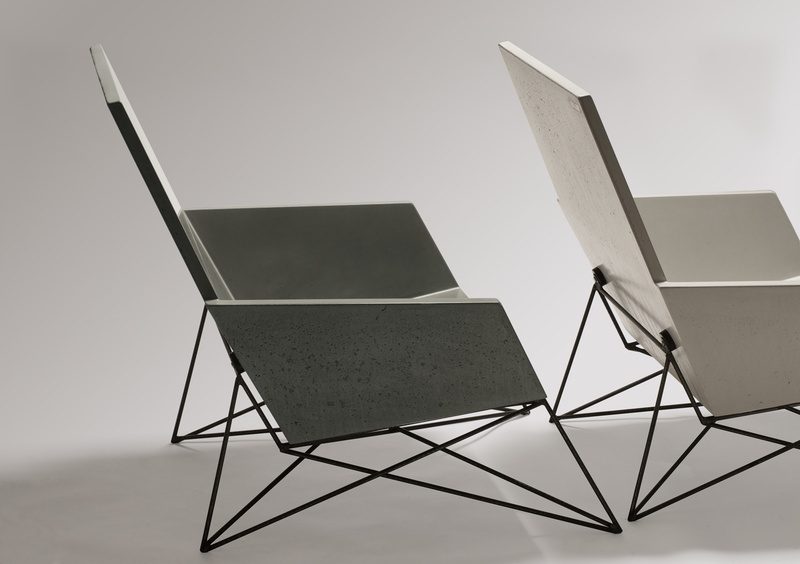 But one could say concrete is our defining material. 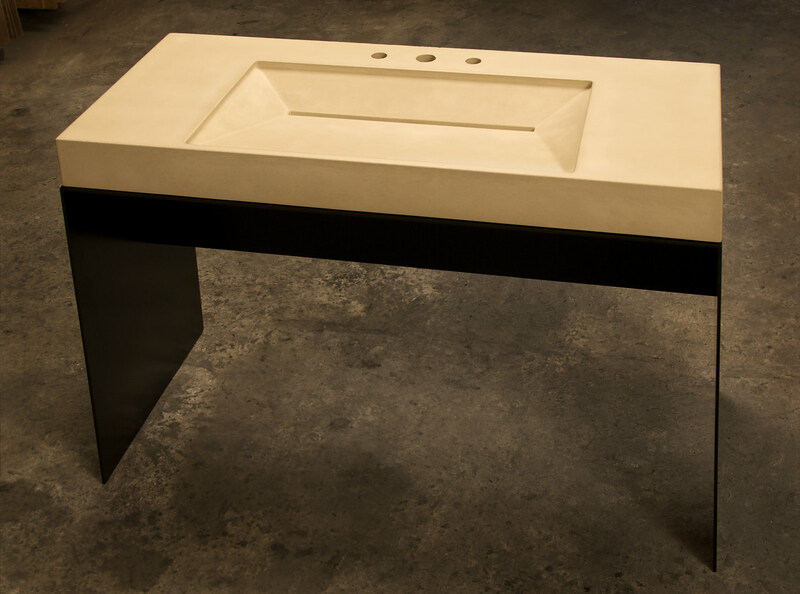 Concrete simply put, is a meditation. 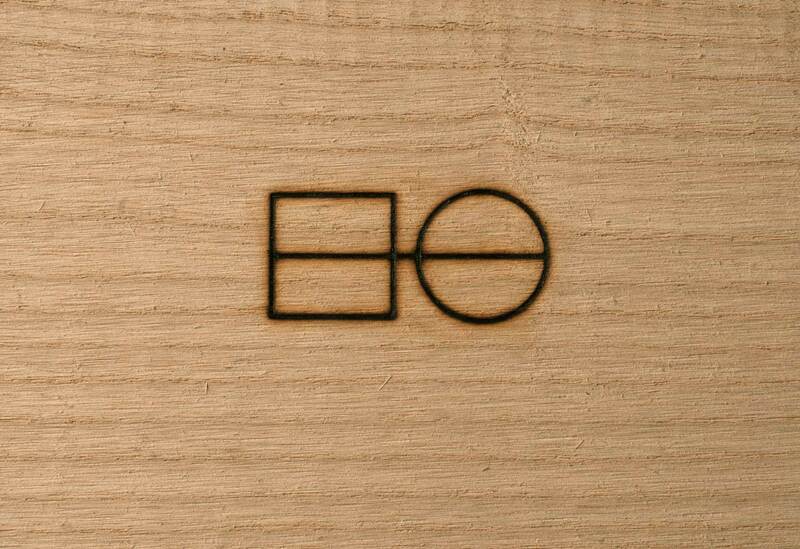 It is a story within a material. 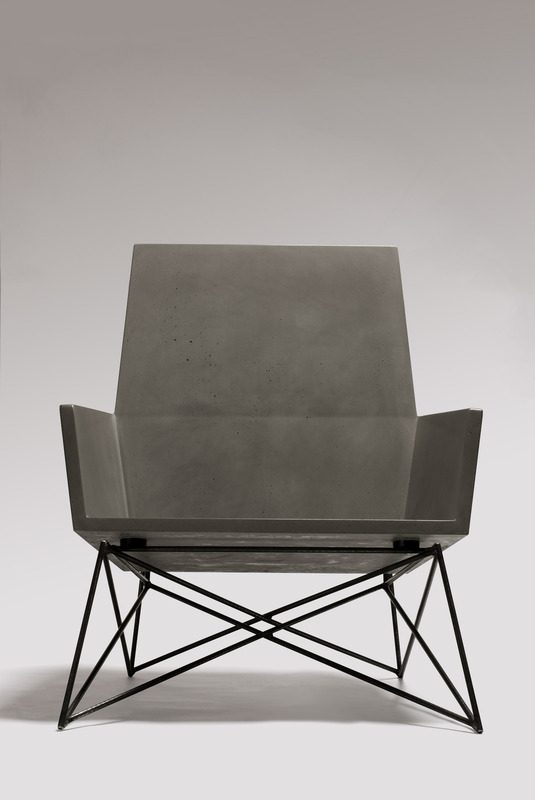 Concrete combines the bounty the world gives us, with a human and moving meditation that allows its manufacture. 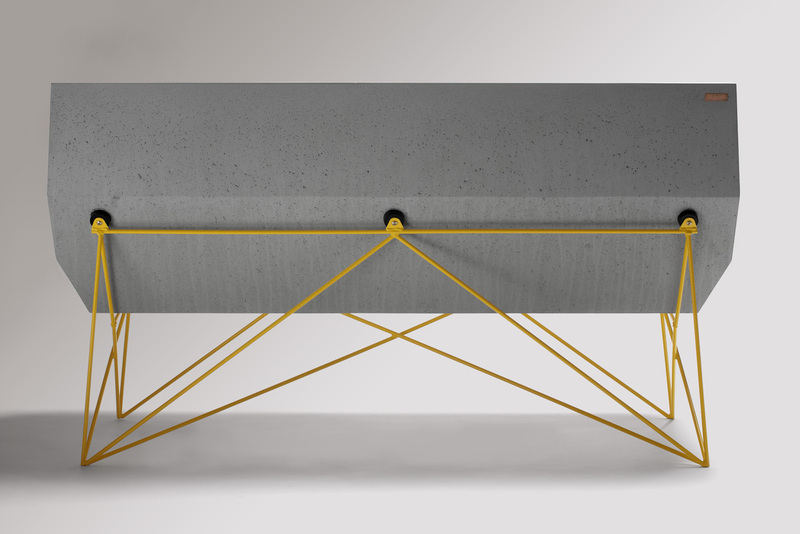 Concrete is honest. 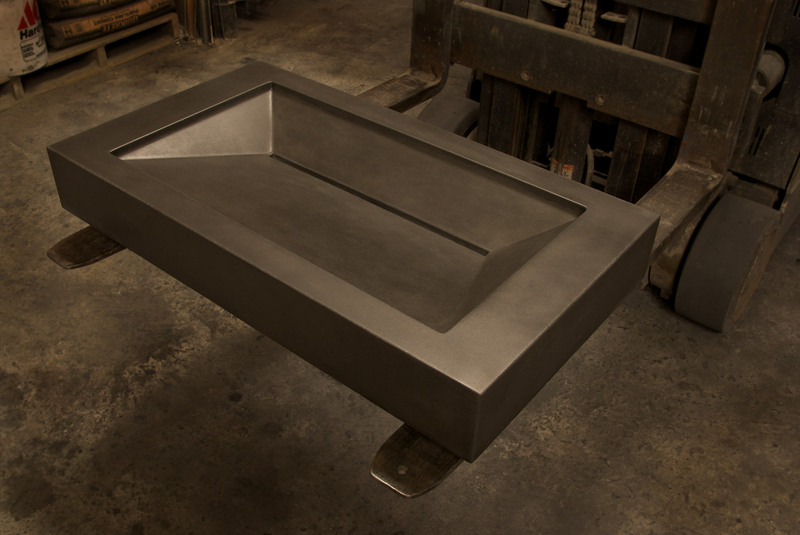 When it is made well, a virtuous process makes it. 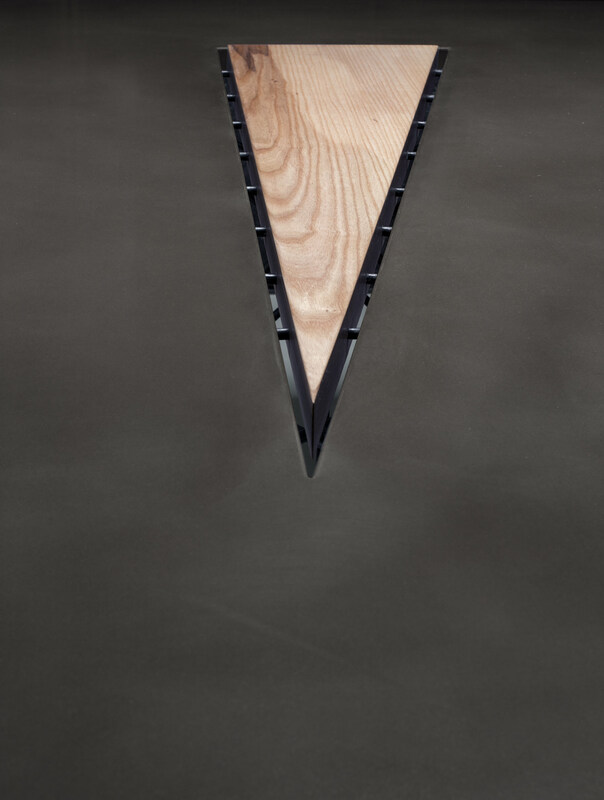 It has flaws to be sure. 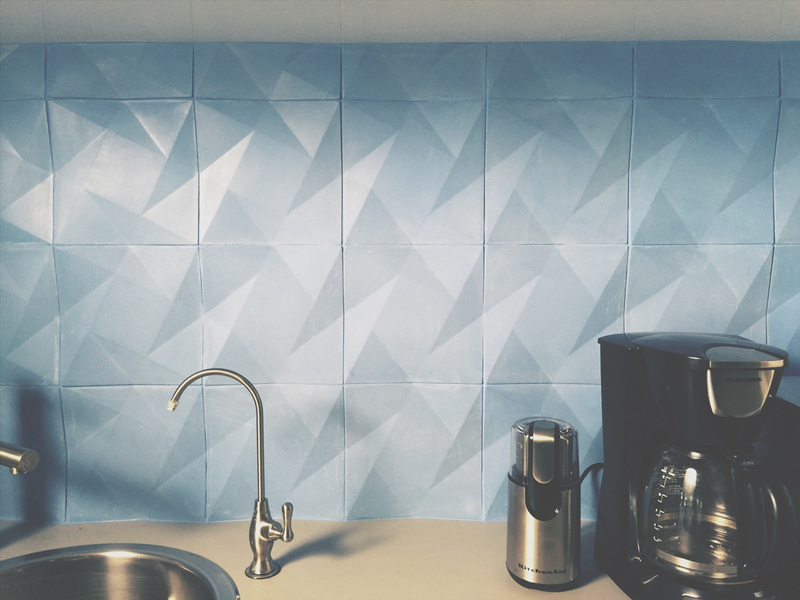 It will change with use and age. 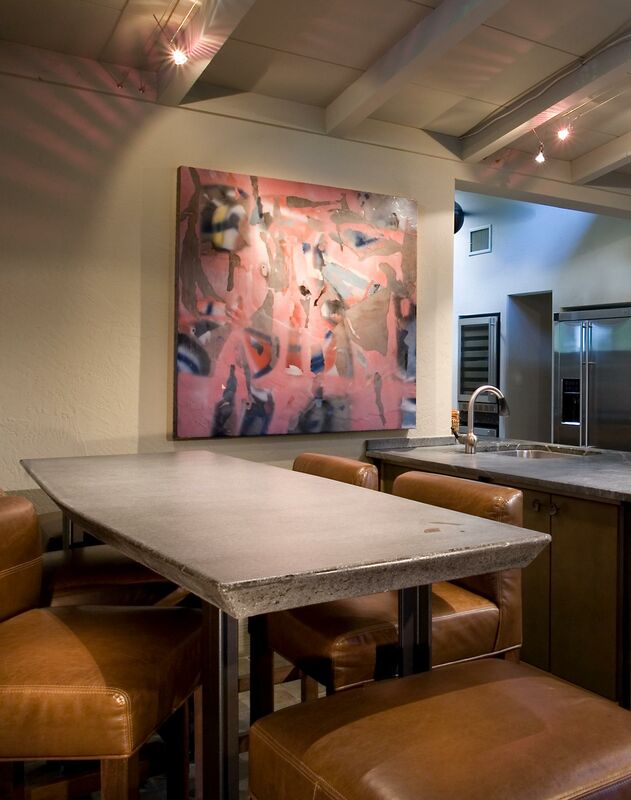 It has variations in color and texture within a single piece and will differ slightly from piece to piece. 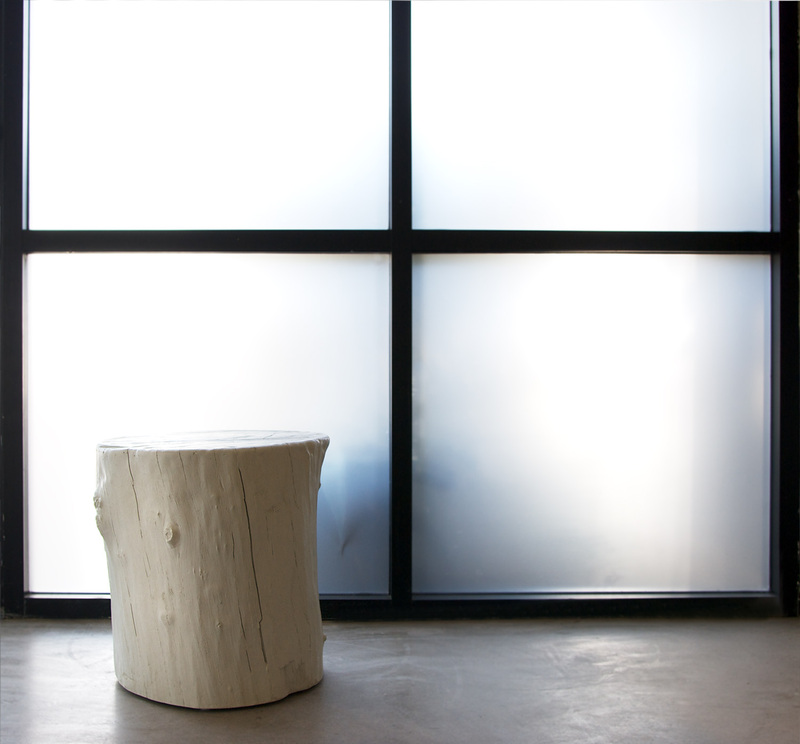 It has subtle voids. 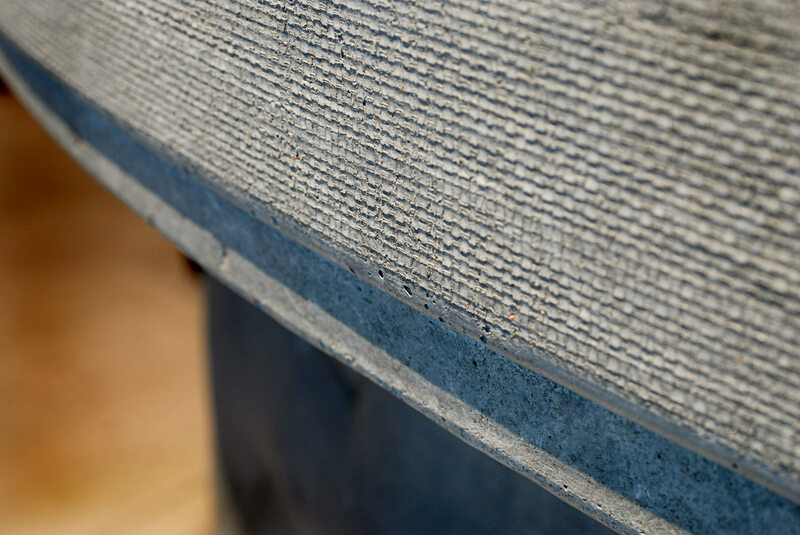 These flaws are the source of aesthetic solutions that work best in concrete. 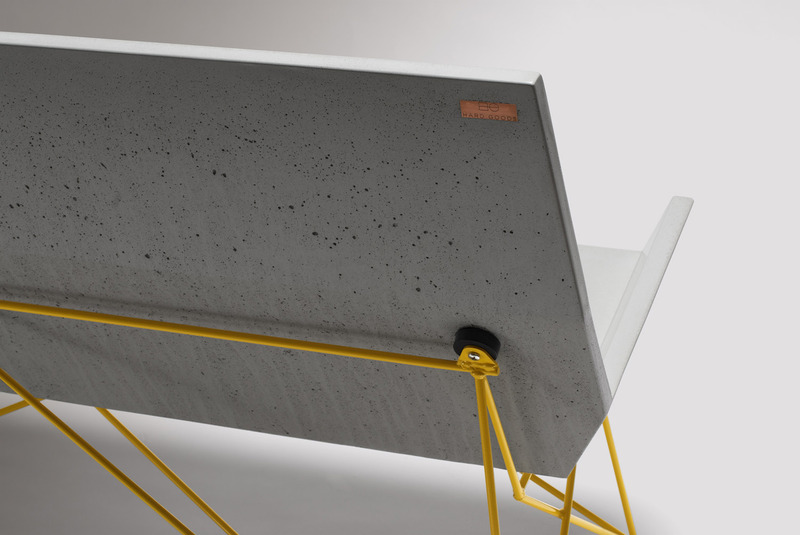 Concrete wants to be concrete. 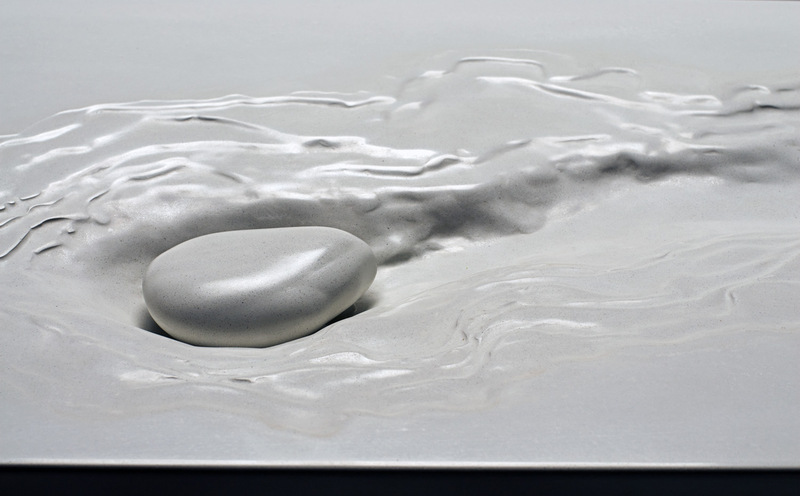 It is meant for people who understand that momentary perfection happens only within the instant it was meant for, and cannot ever again be quite the same. 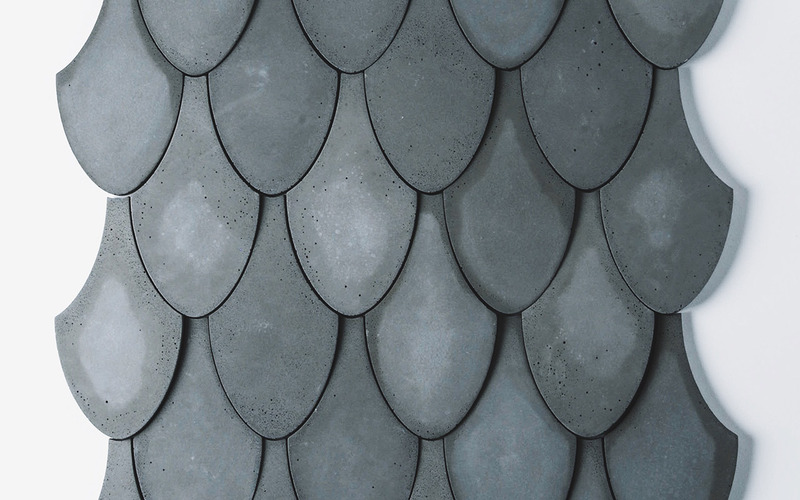 Who would want copper gutters that lack patina, or cedar shingles that are prevented from taking on the silver sheen of age, or naked steel without the ability to protect itself with oxidation? 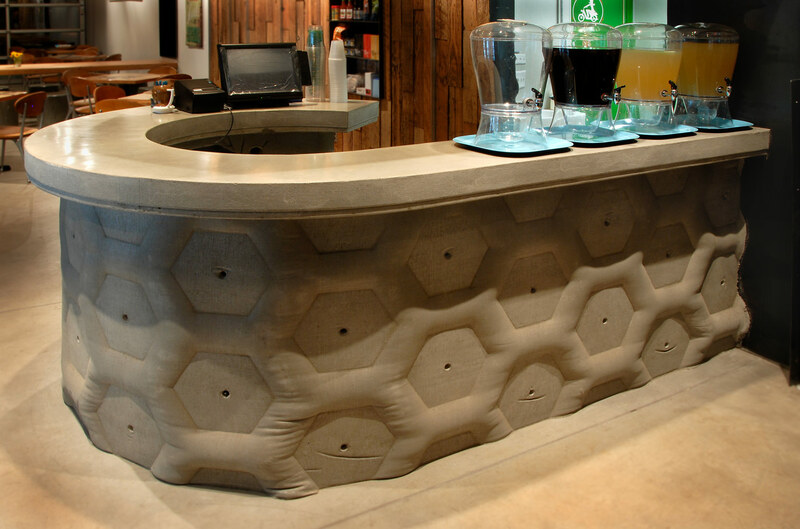 Concrete will age as all things do. 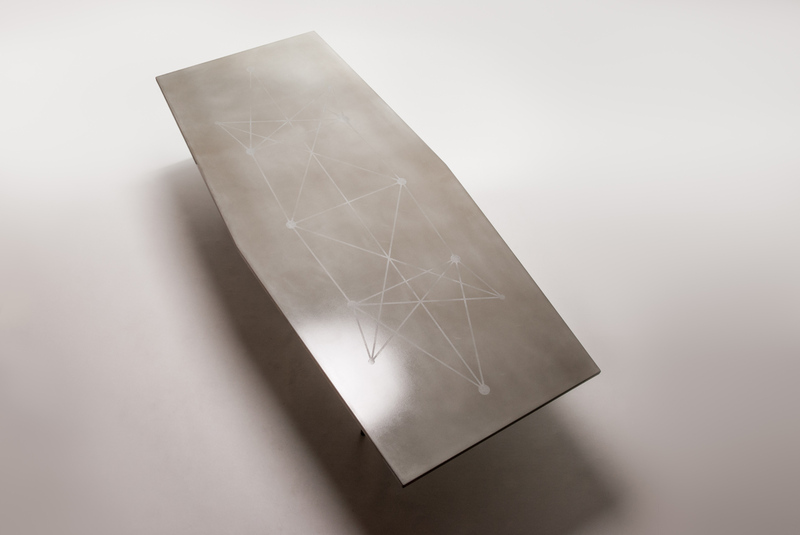 It will collect the moments we share with it. 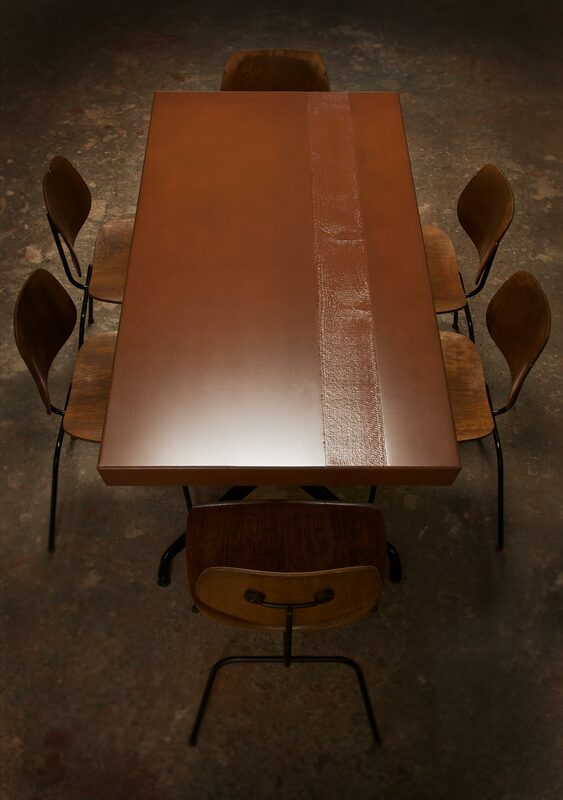 If treated well, it will outlast the people who made it; and do so with grace they gave it. 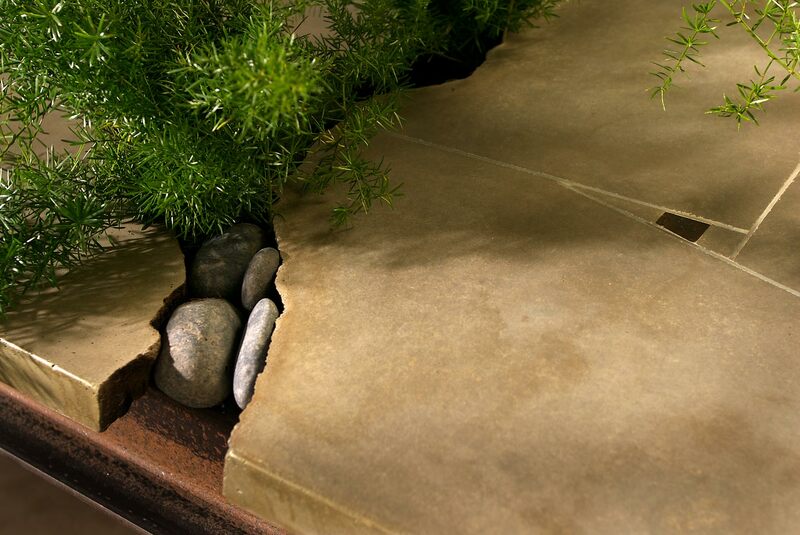 It will become a sage gift to the future making our memories present as an unknown future is collected. 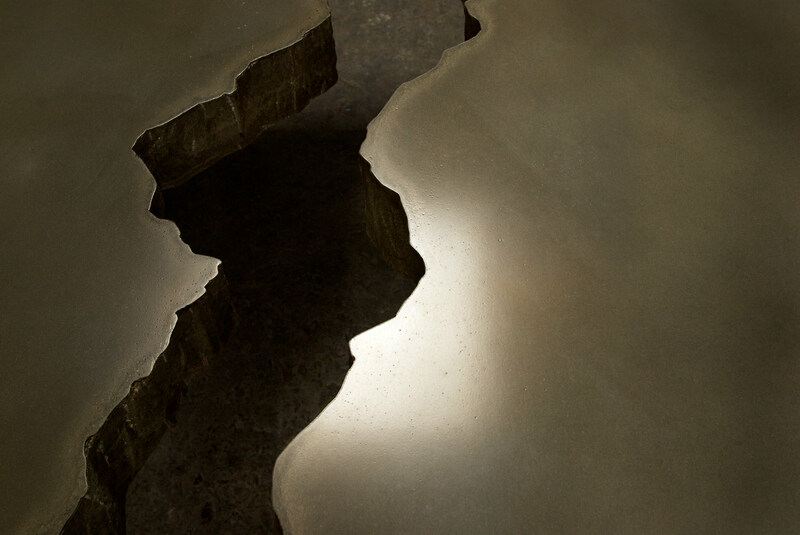 Its history will become part of our future. 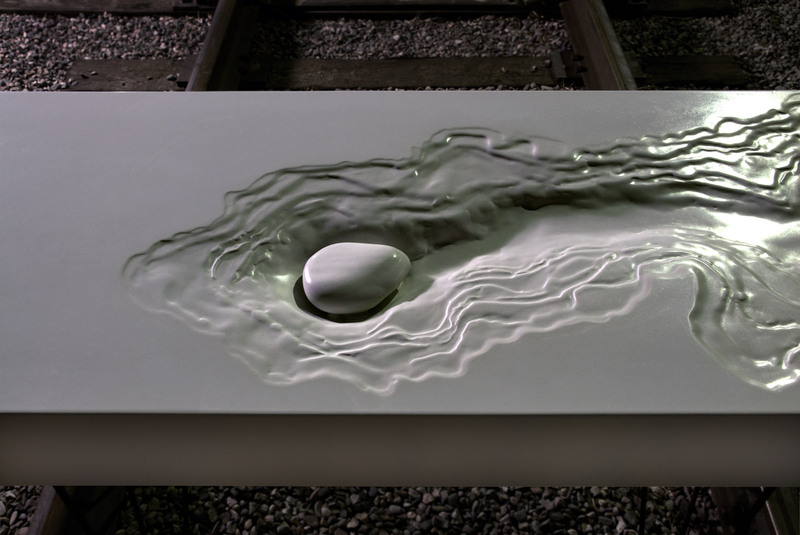 And it will always allow us a needed pause, to fully exist concretely, and in the present.